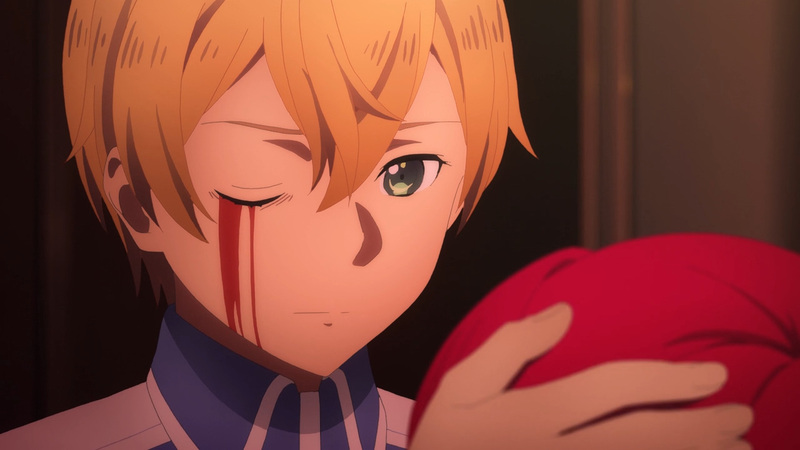 Some lines are worth crossing. 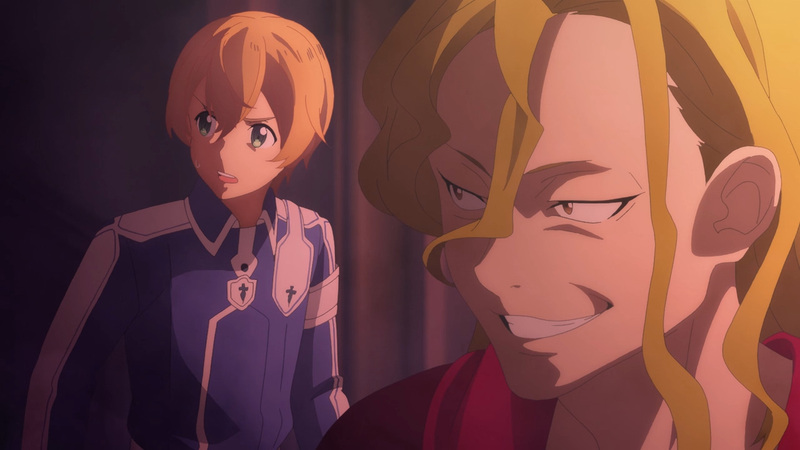 Talking to those nobles got them nowhere, and now they’ve taken their game to another level. 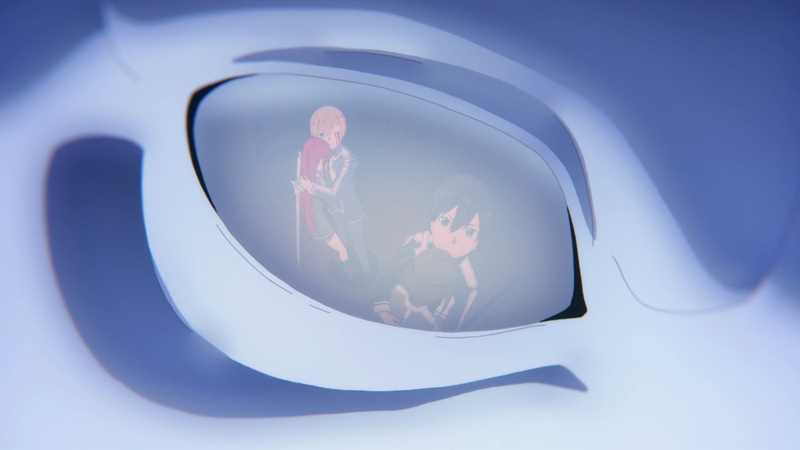 They have gone after our heroes disciples. 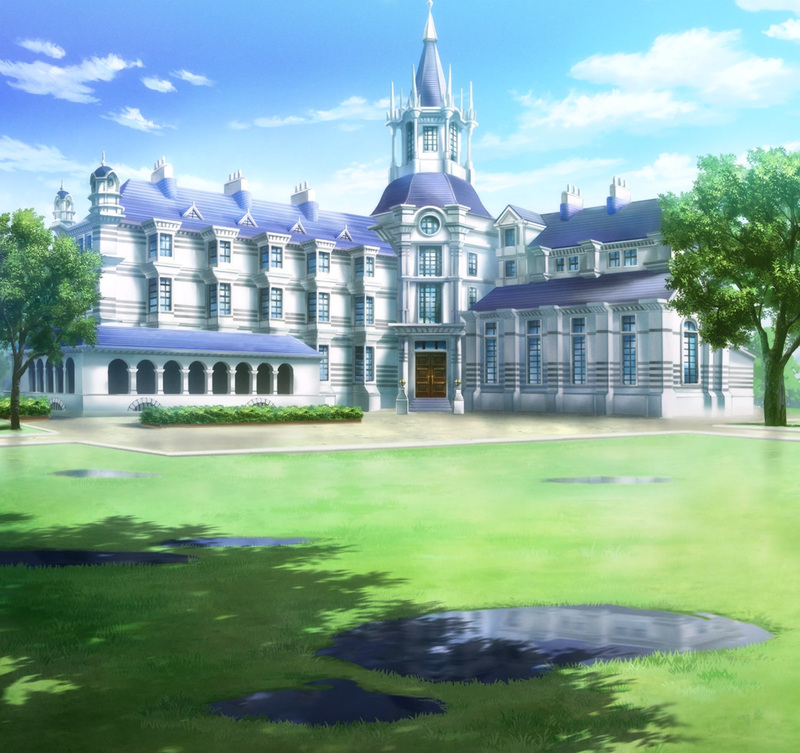 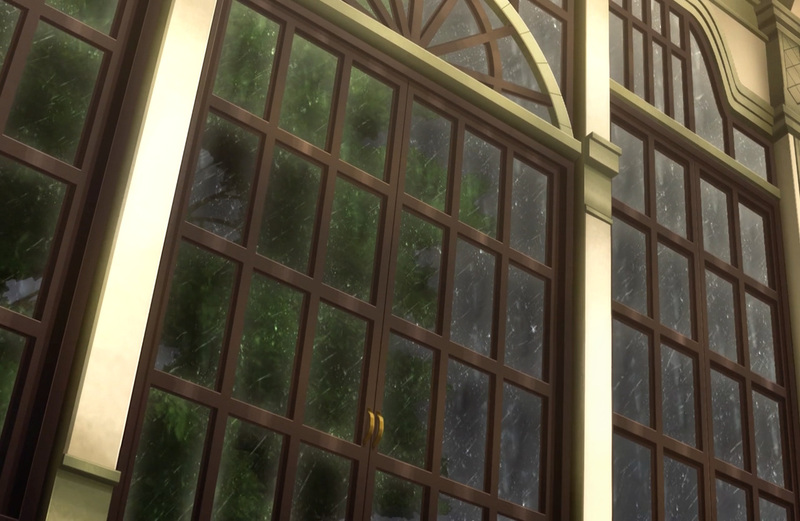 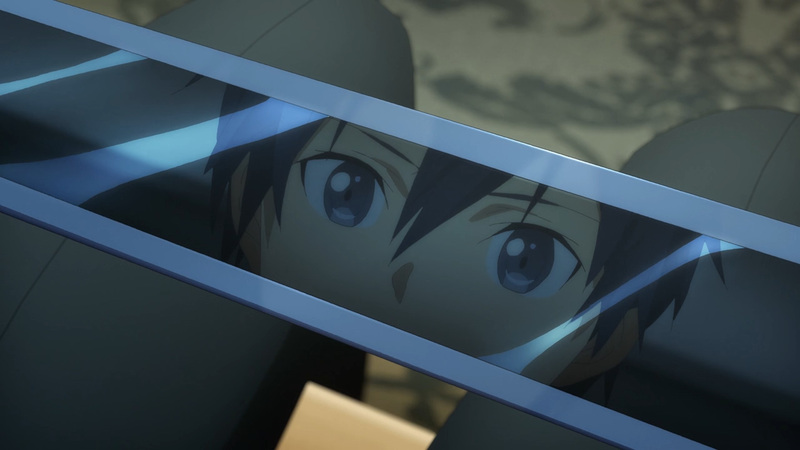 After not showing up on time, Kirito went out to find them. 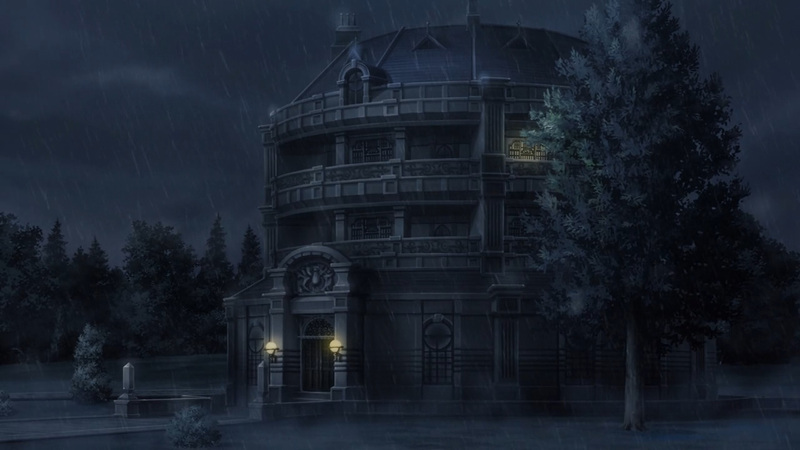 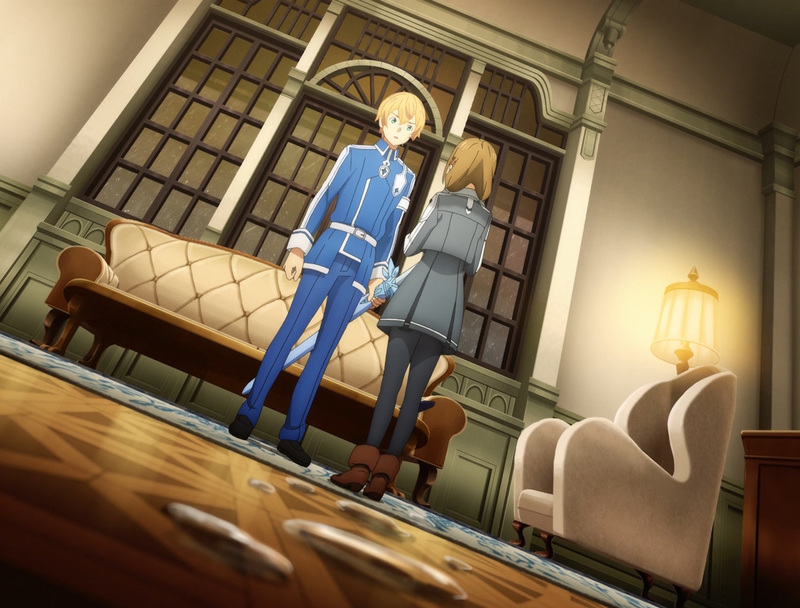 Eugeo stayed behind just in-case they arrived late, but he was only greeted with bad news. 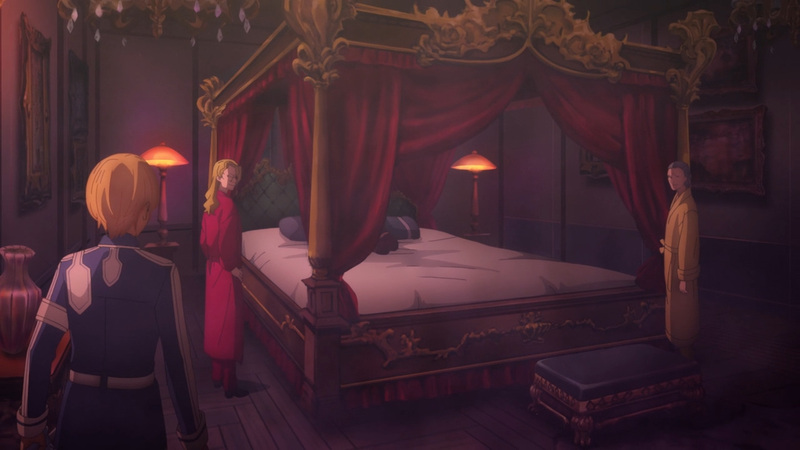 Frenica, Lord Humbert’s disciple, was about to be forced to do an unspeakable act, however her friends stepped in. 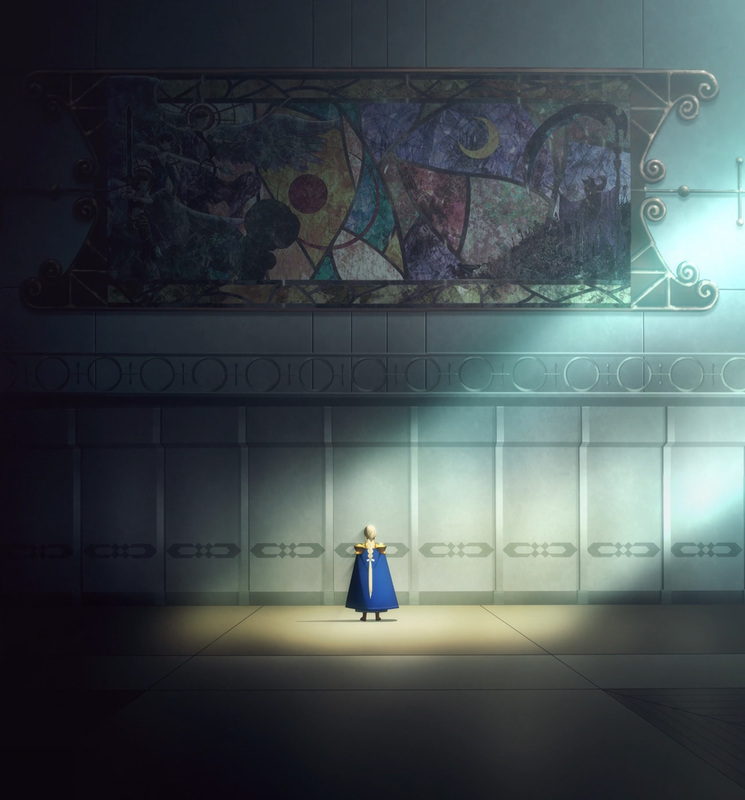 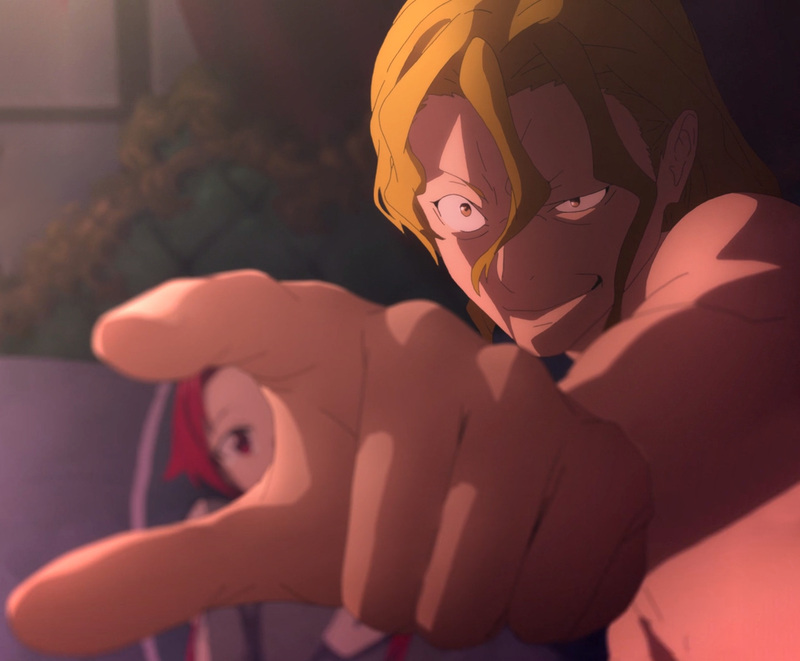 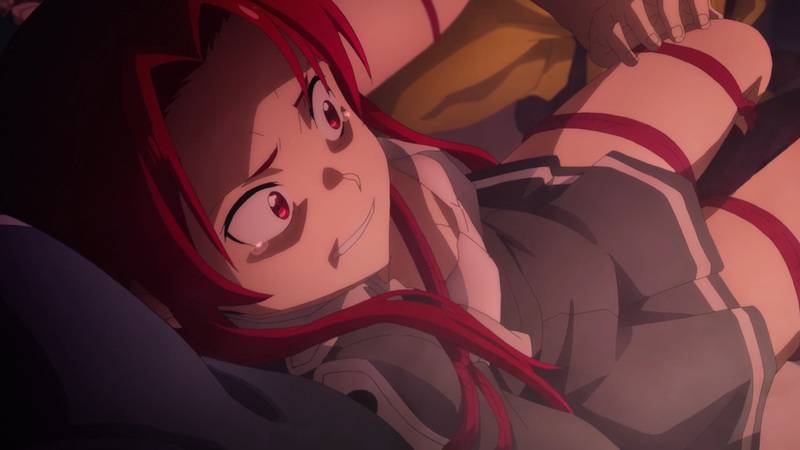 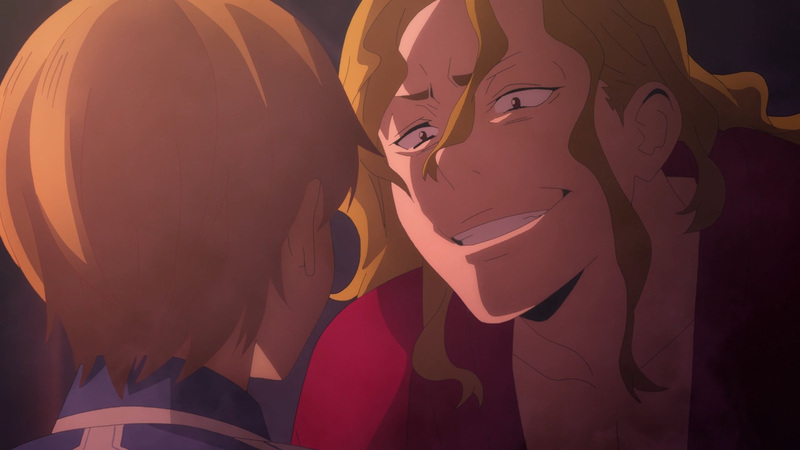 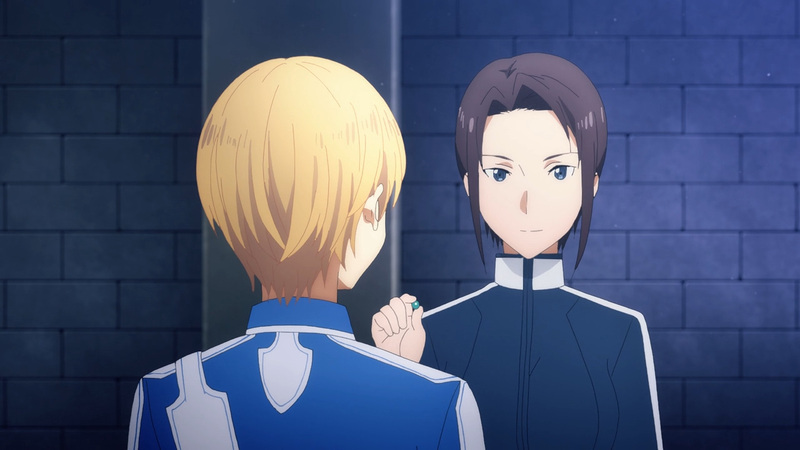 Tiese and Ronie directly confronted Frencia’s mentor, yet they never returned. 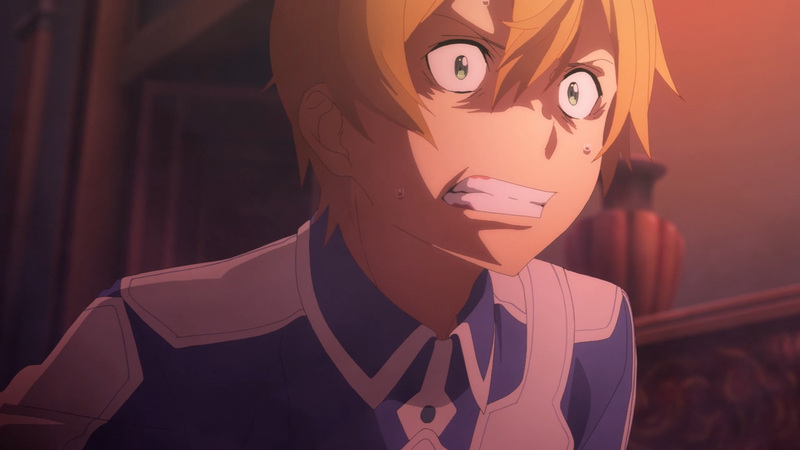 As soon as Eugeo heard this, he ran out to find them. 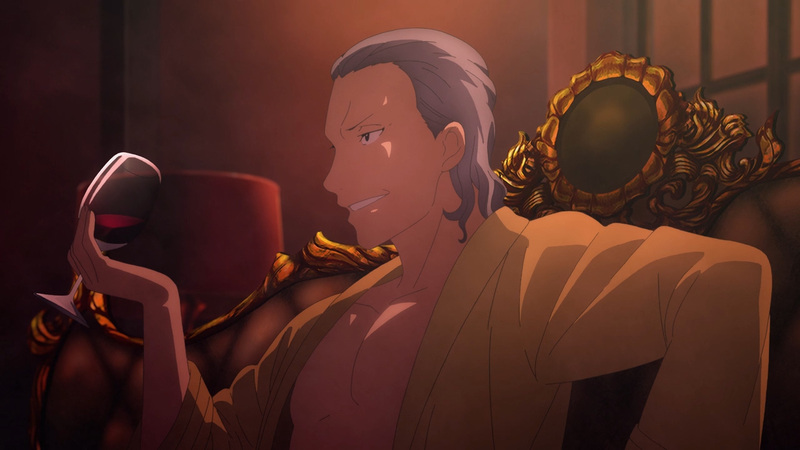 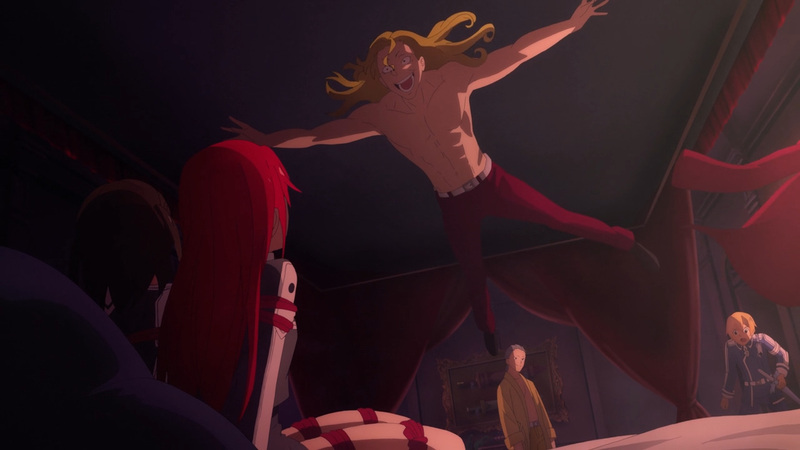 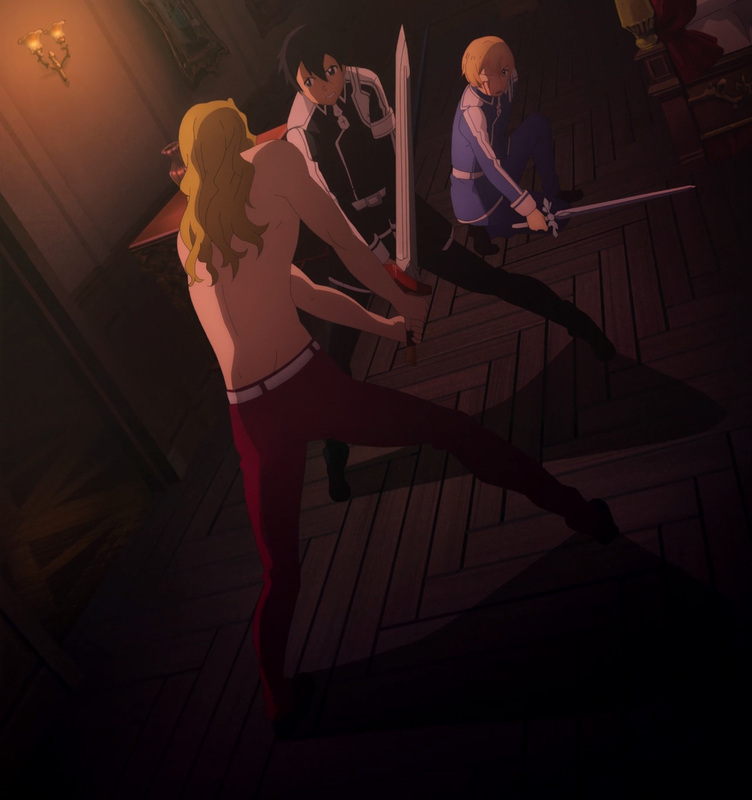 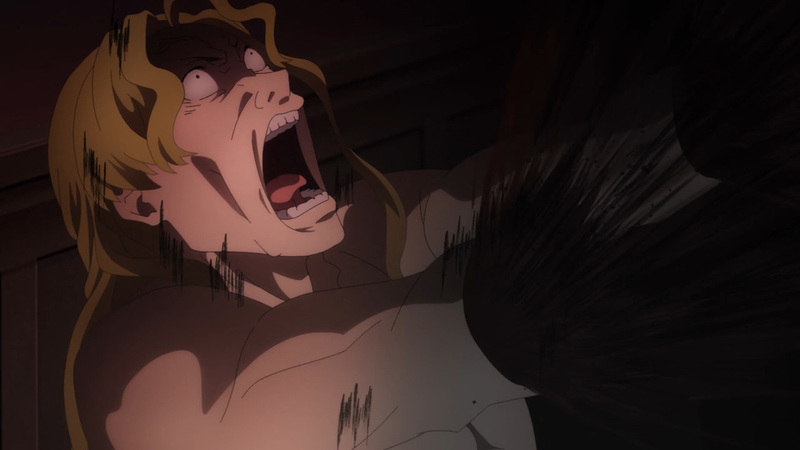 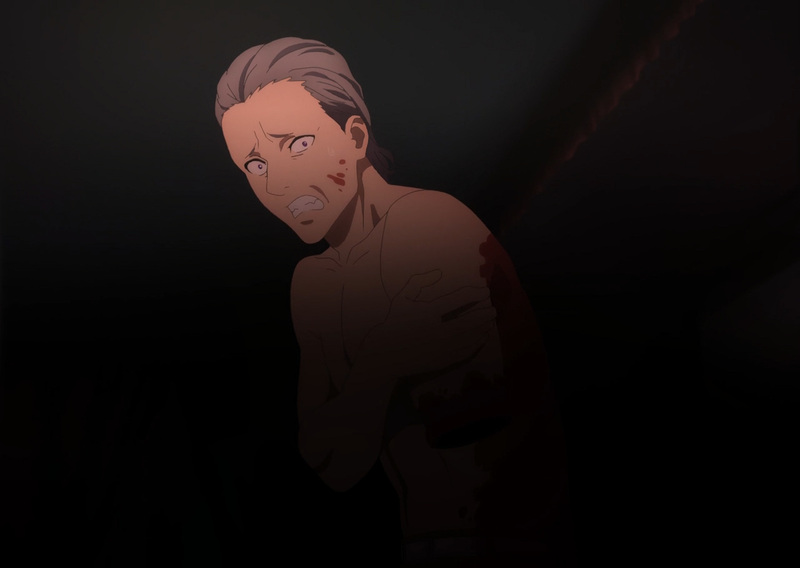 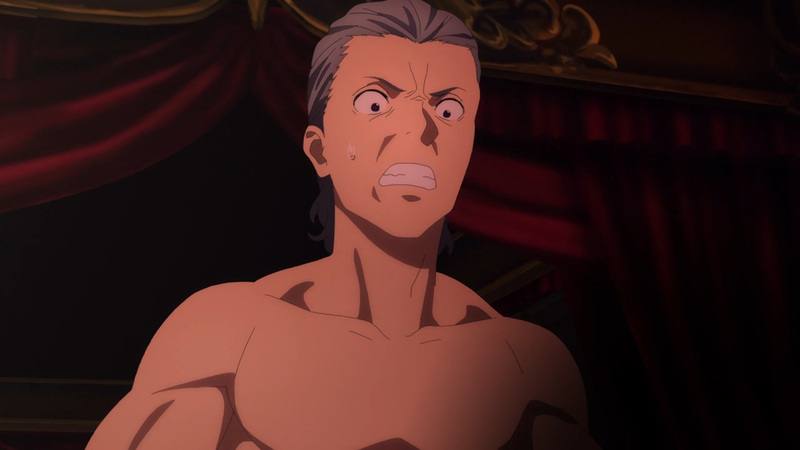 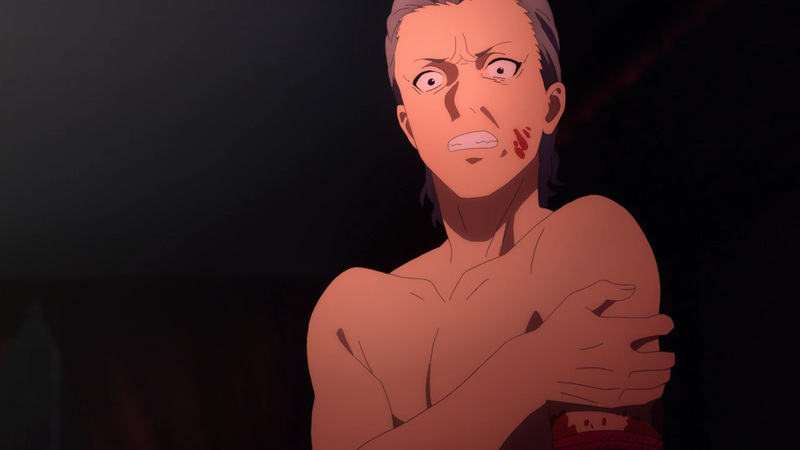 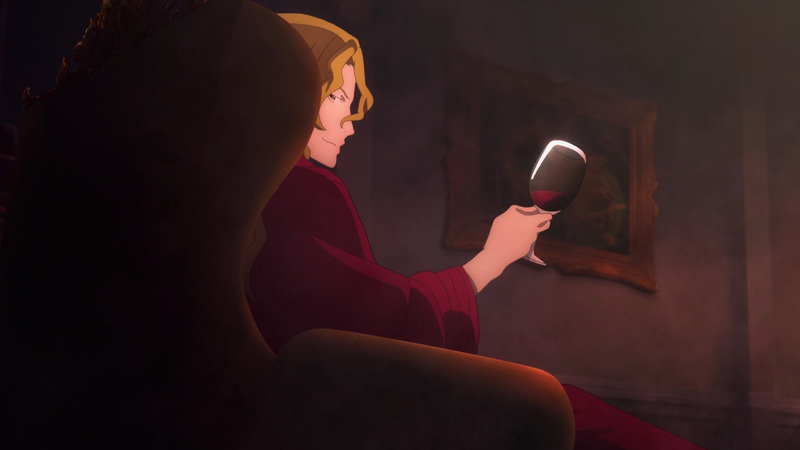 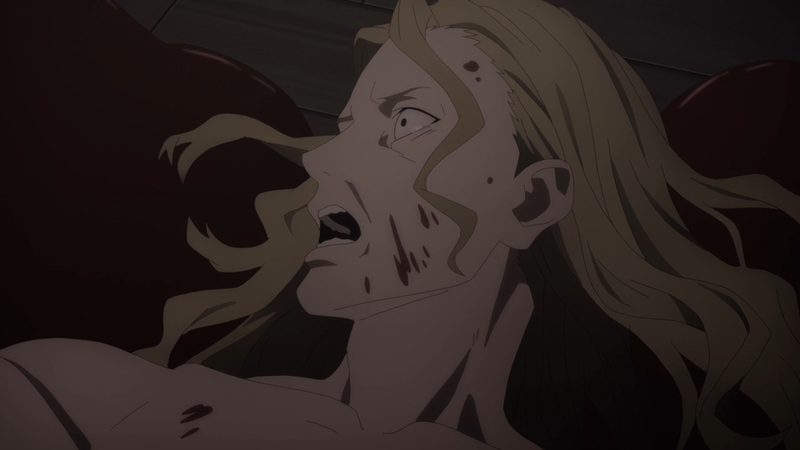 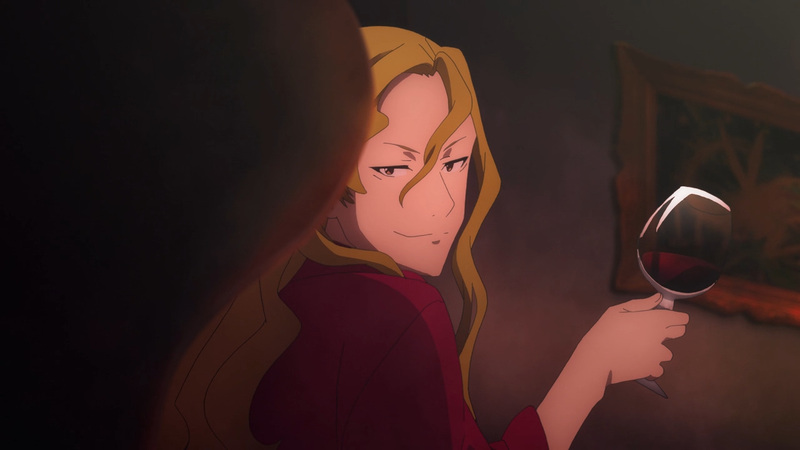 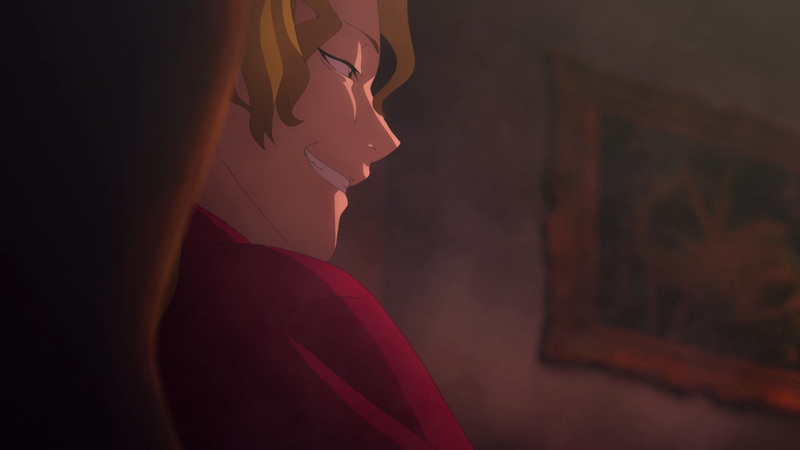 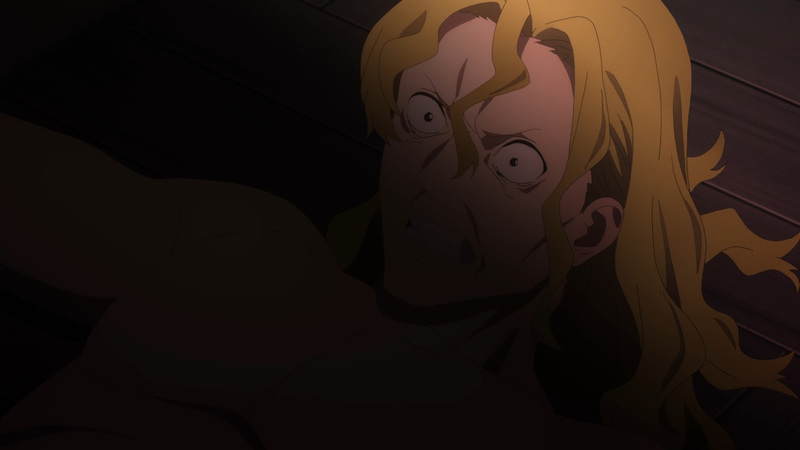 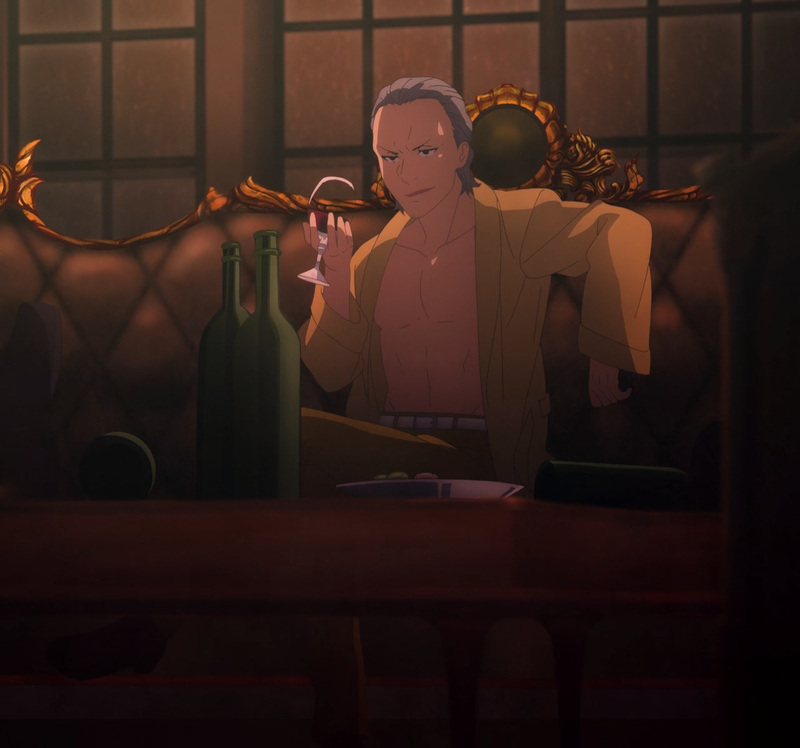 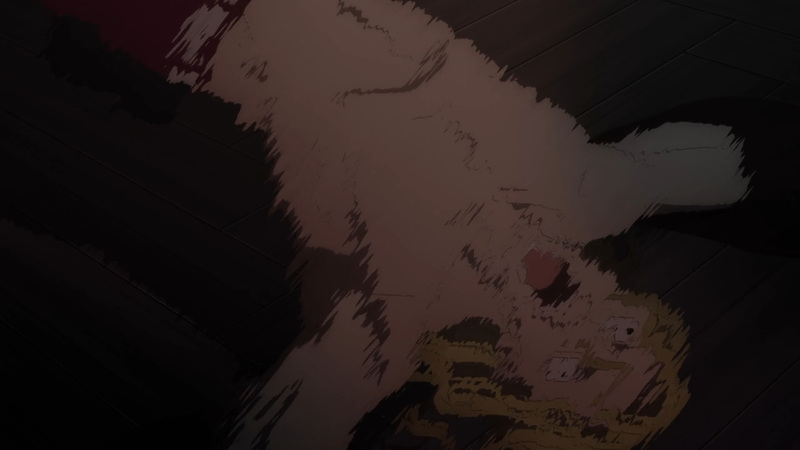 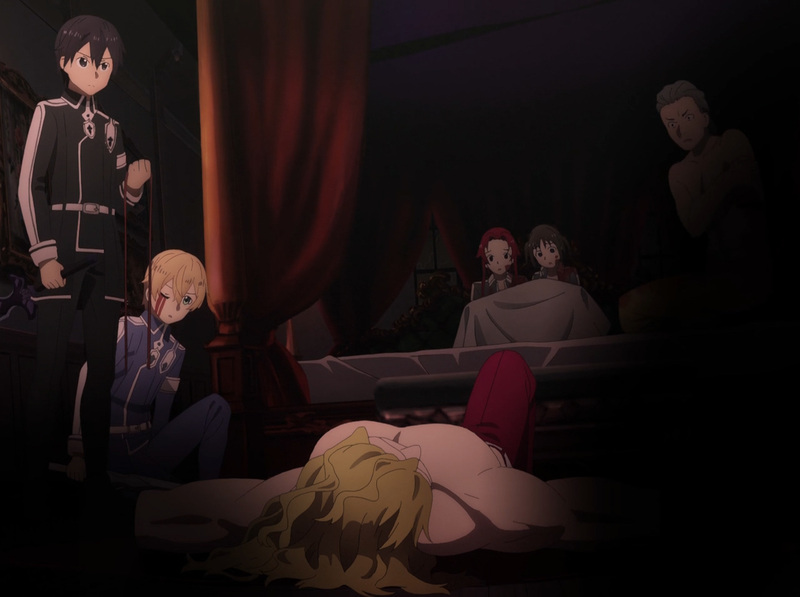 Within Raios and Humbert’s room the horror of the situation unfolded before him. 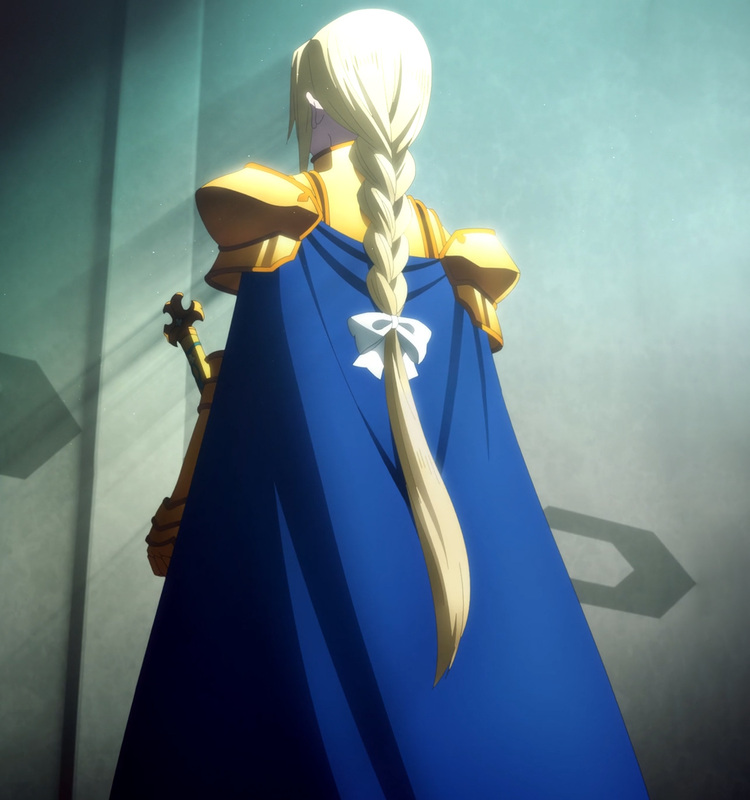 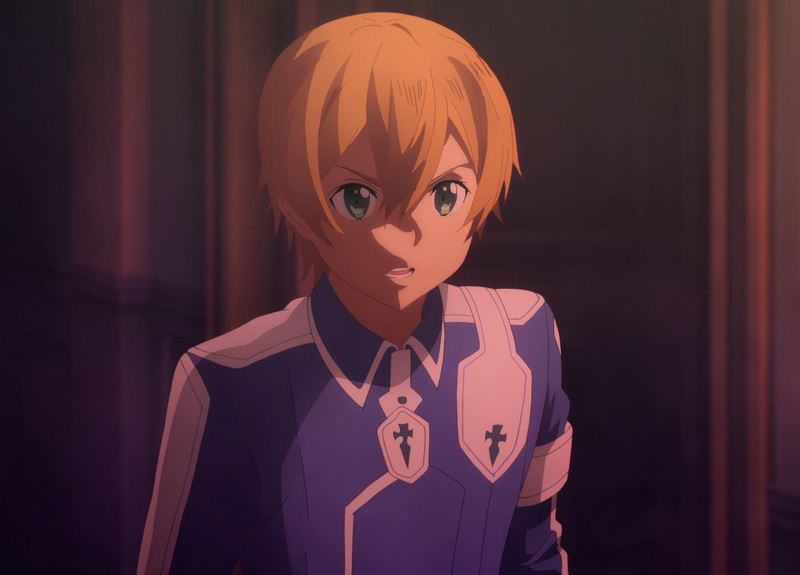 The girls had been taken captive, the laws of this world played right into the nobles hands, and the system forbade Eugeo from taking action. 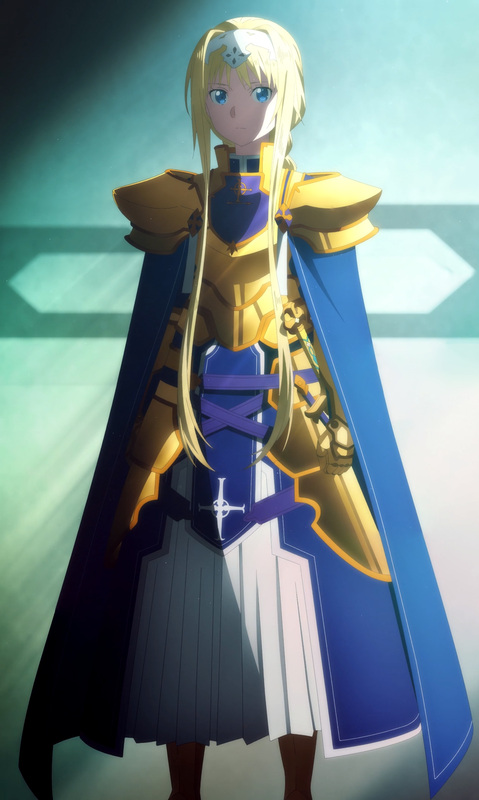 Now, the laws of these lands had the nobles in the right, but what they were about to do was certainly wrong. 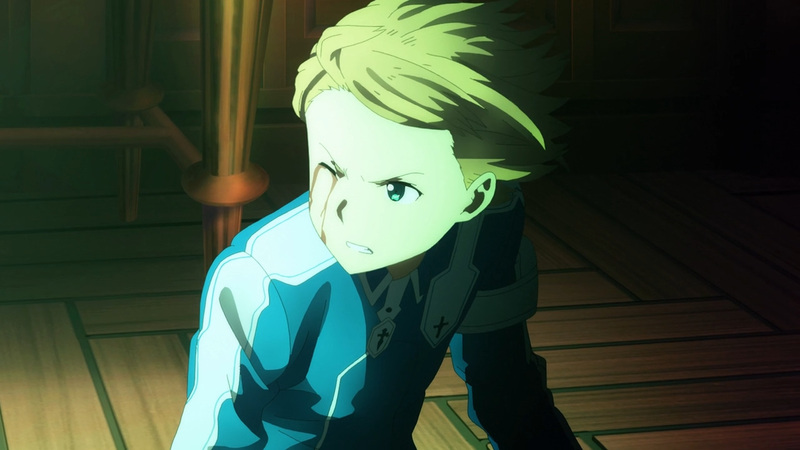 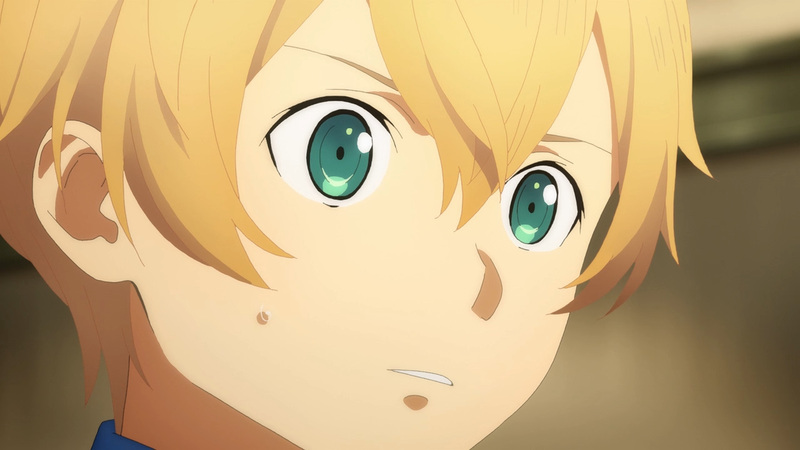 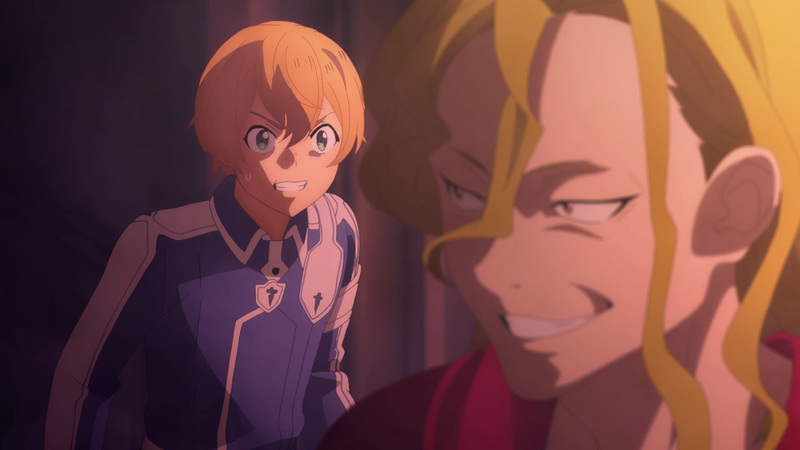 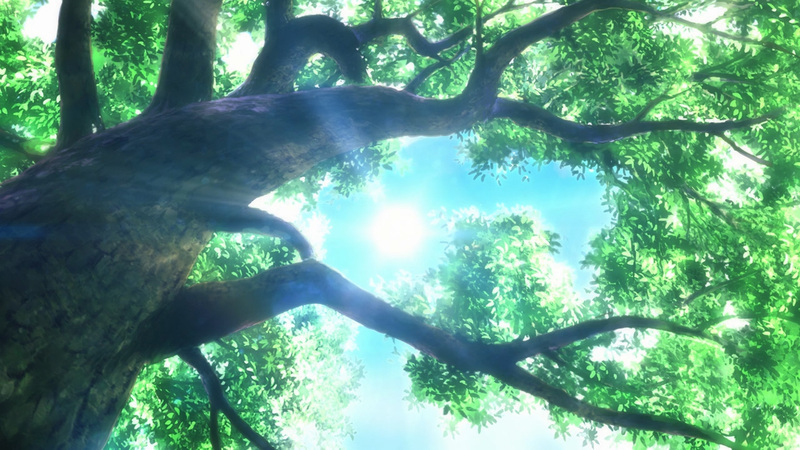 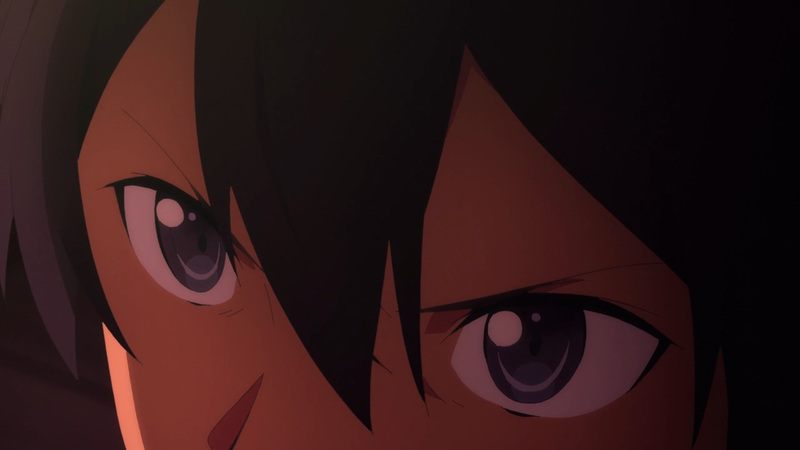 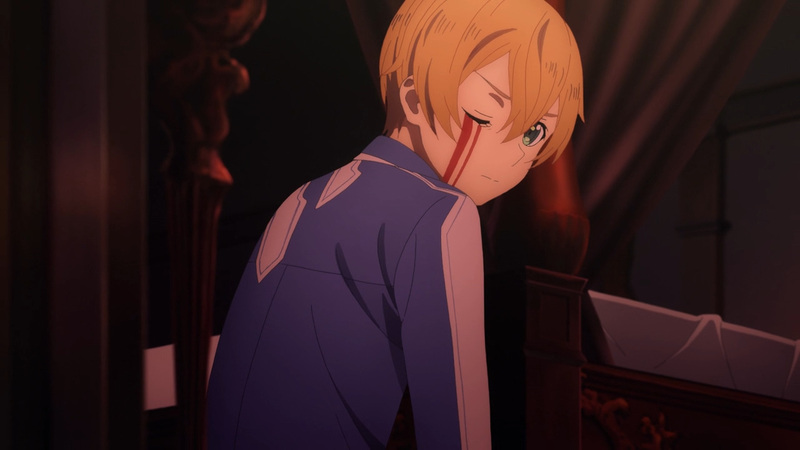 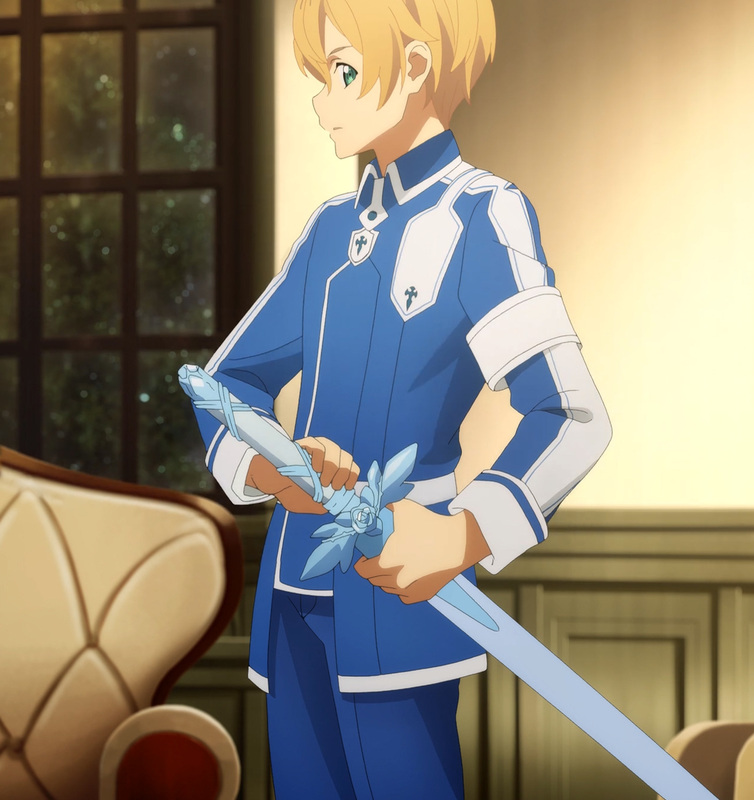 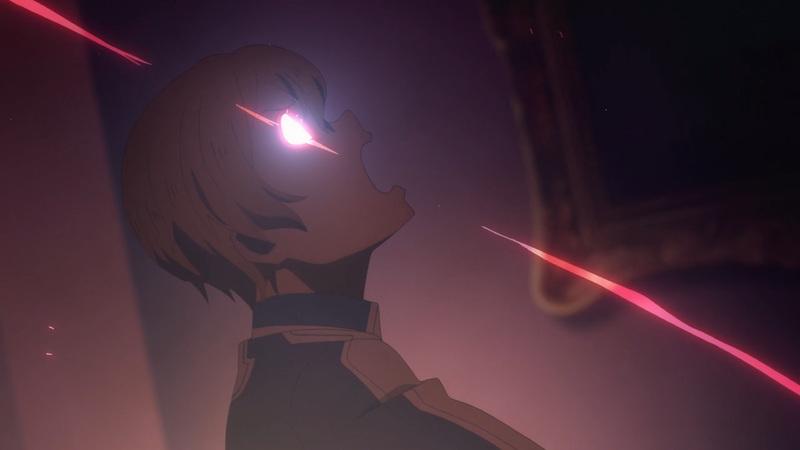 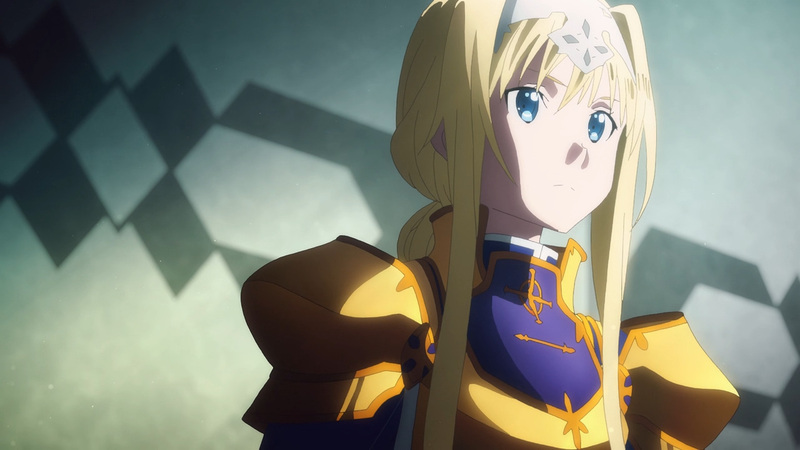 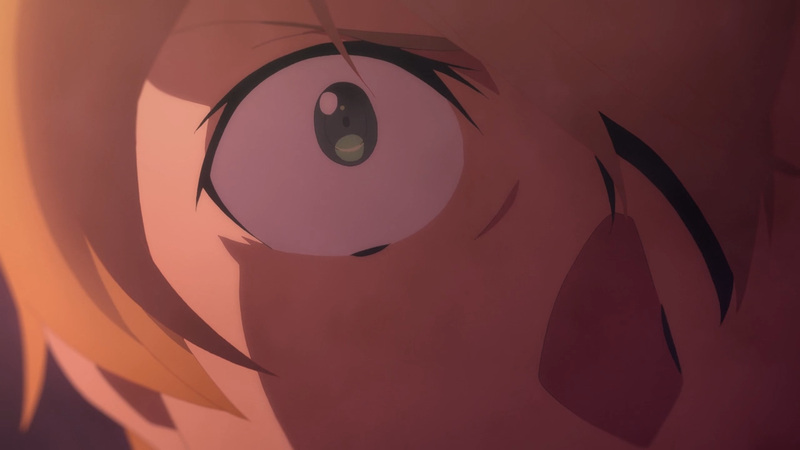 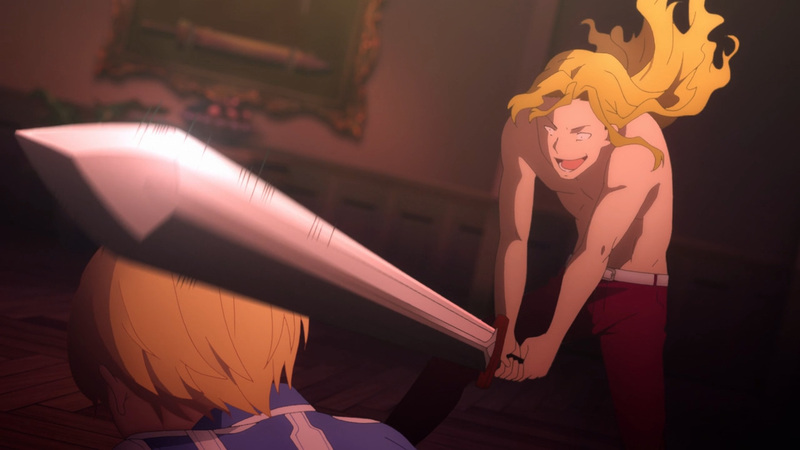 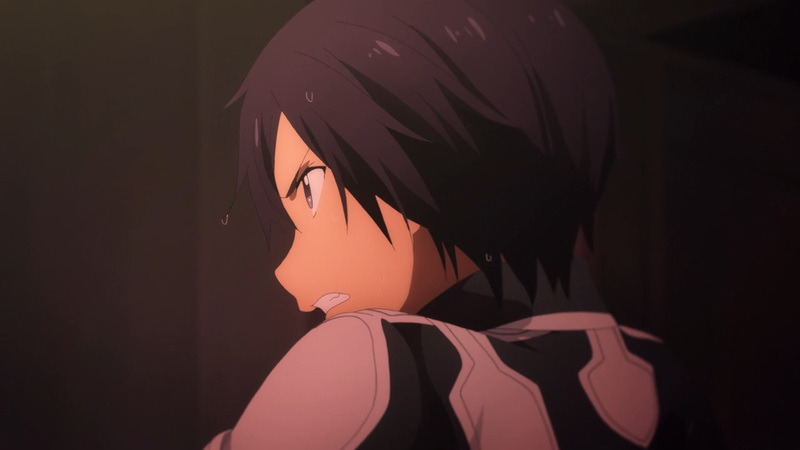 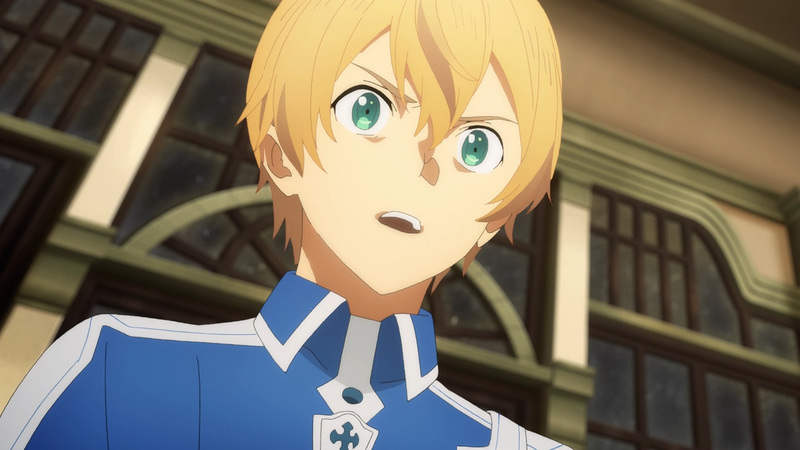 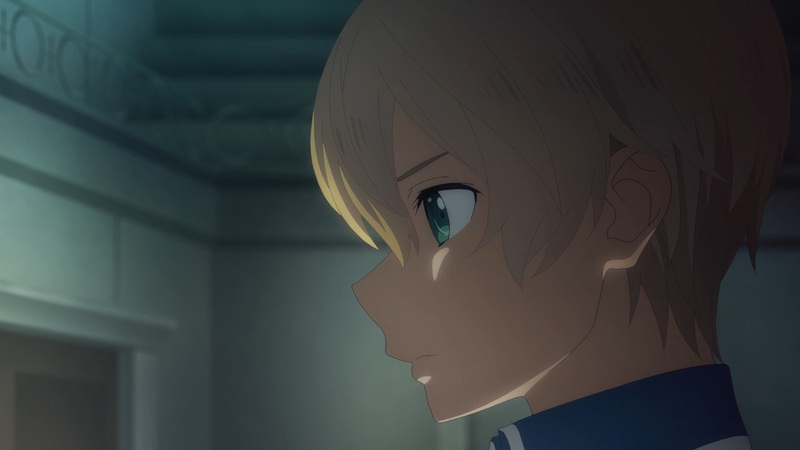 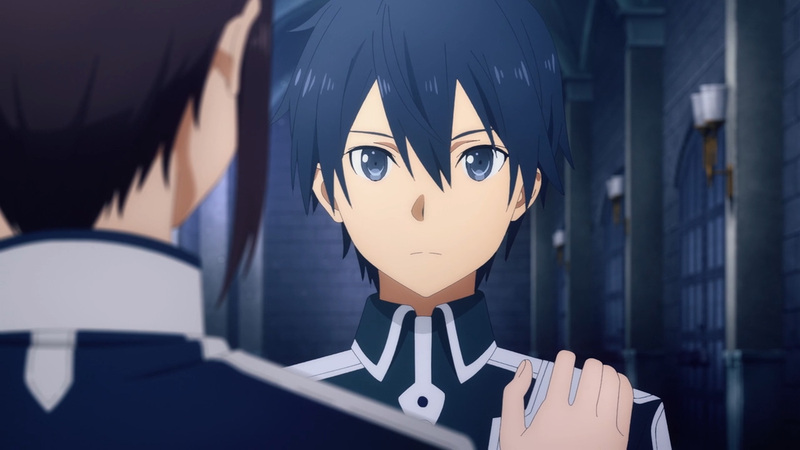 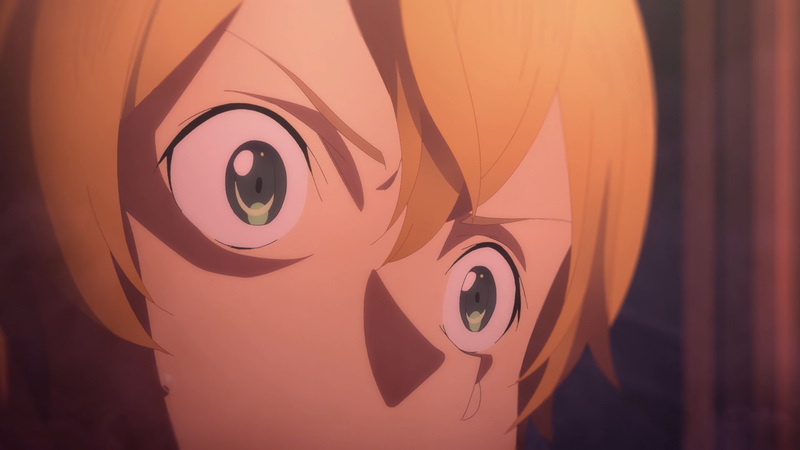 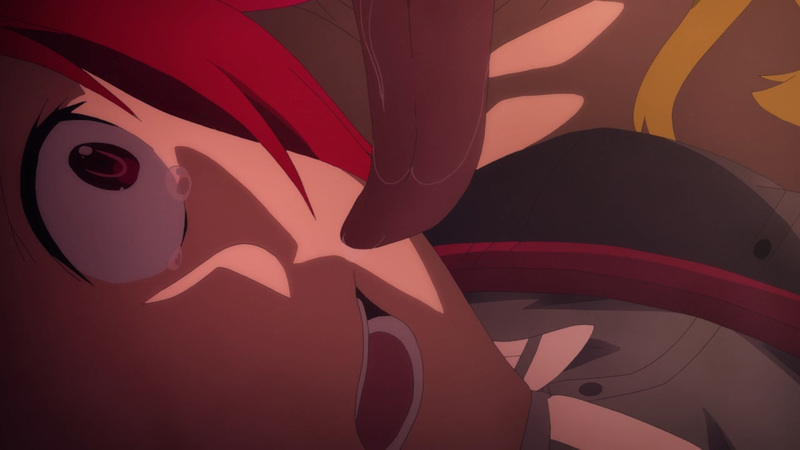 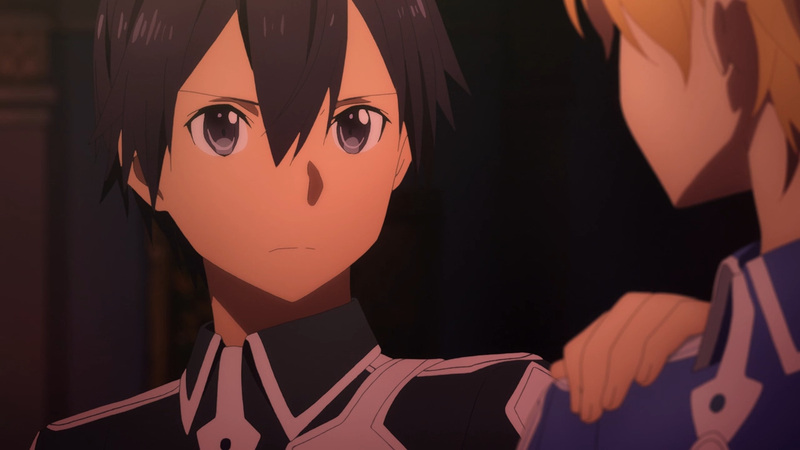 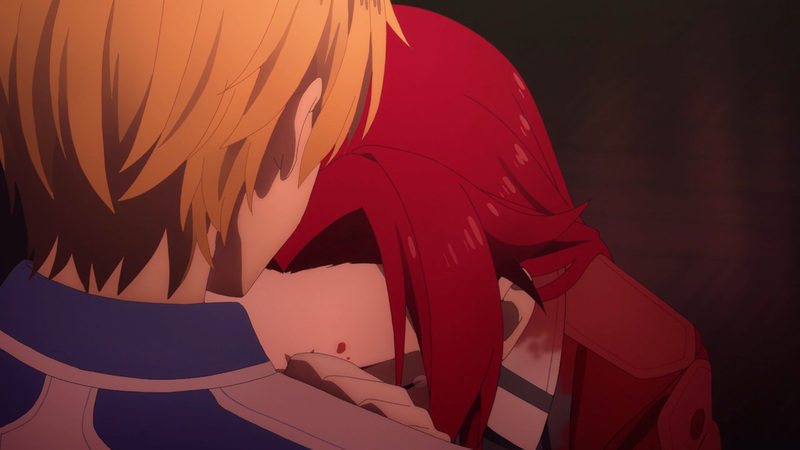 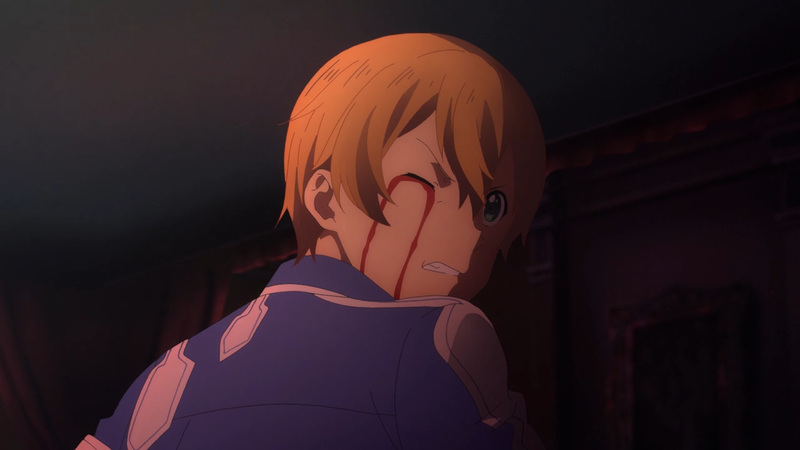 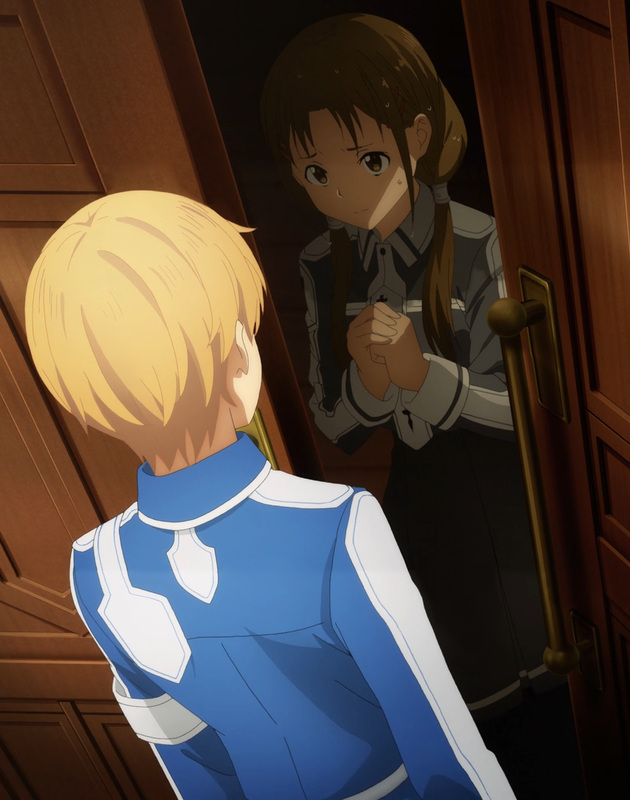 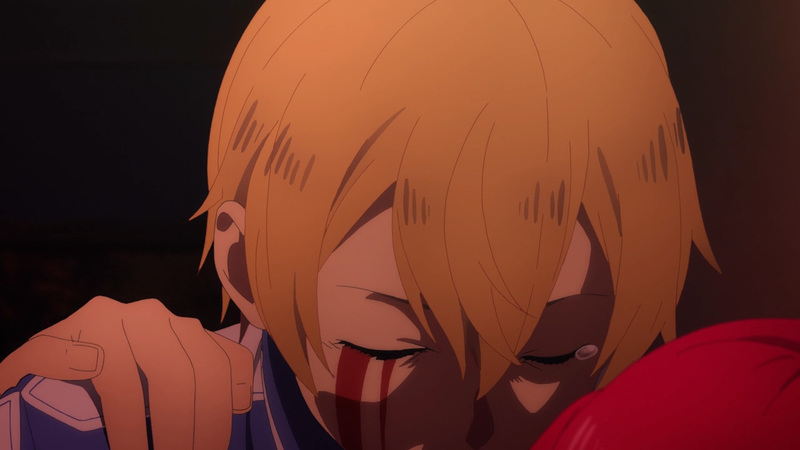 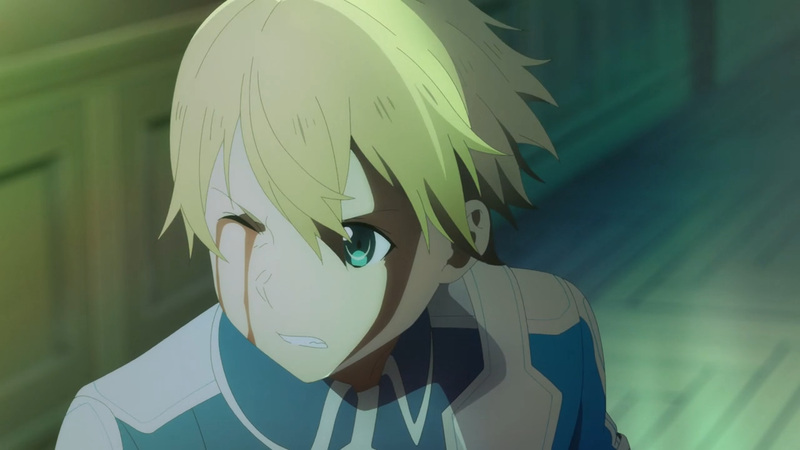 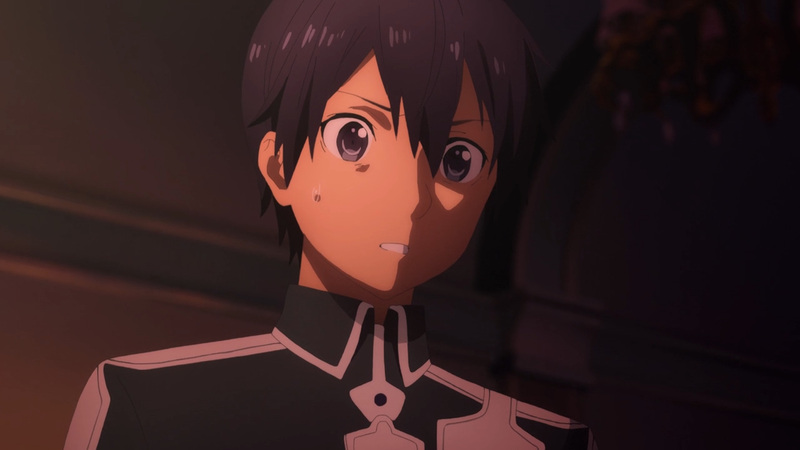 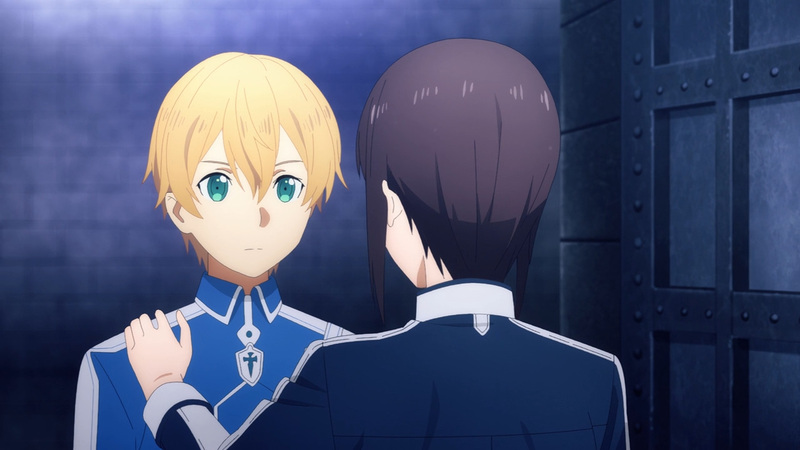 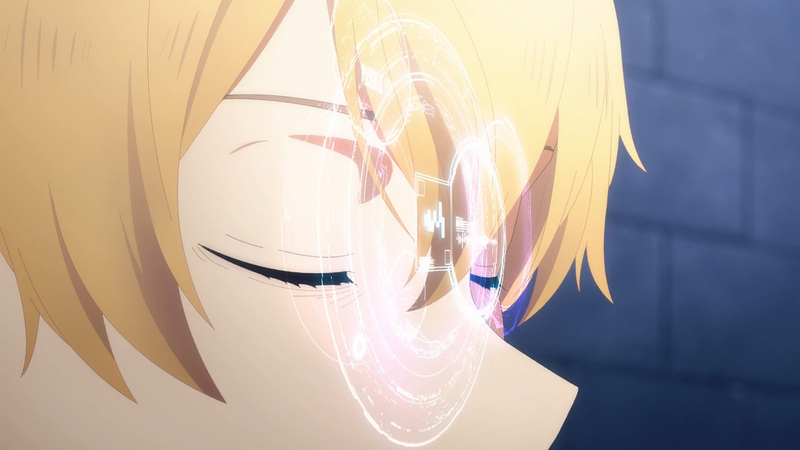 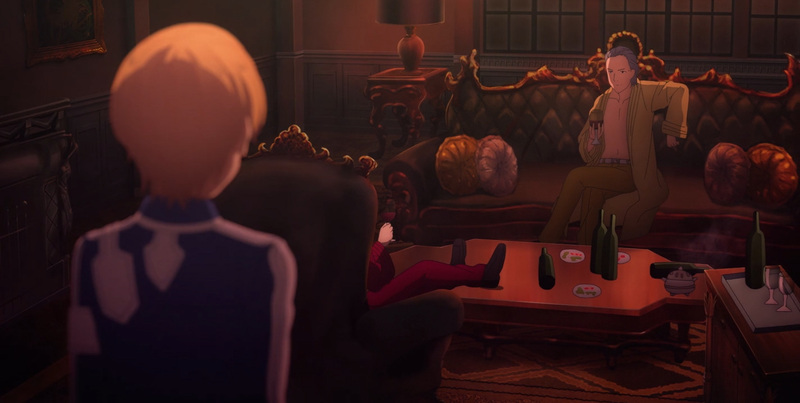 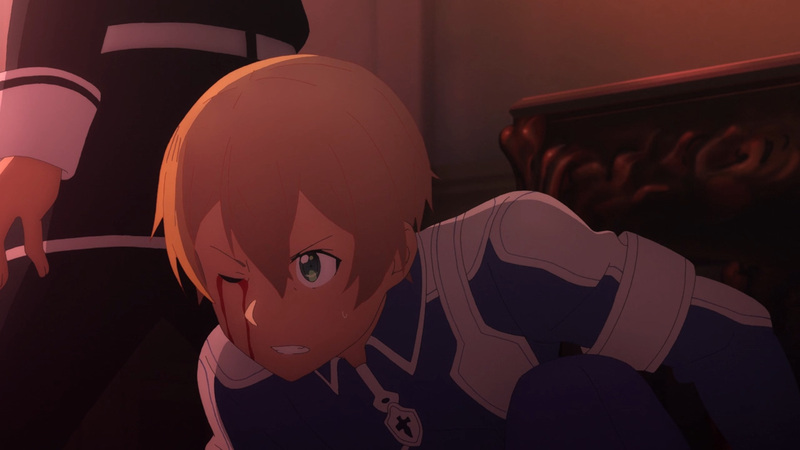 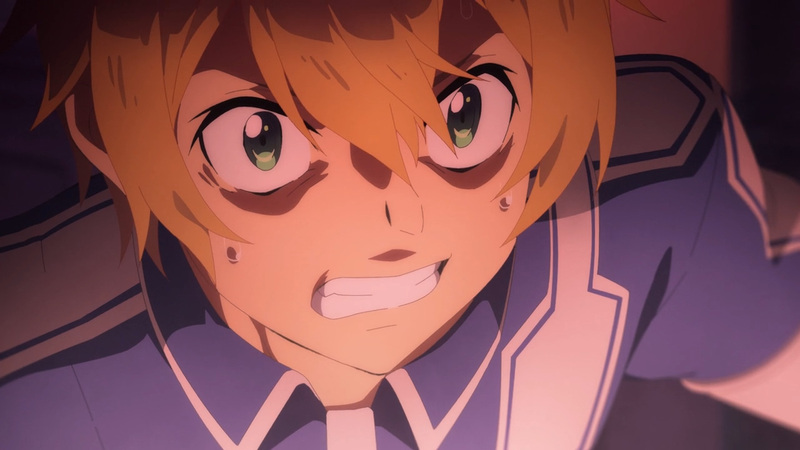 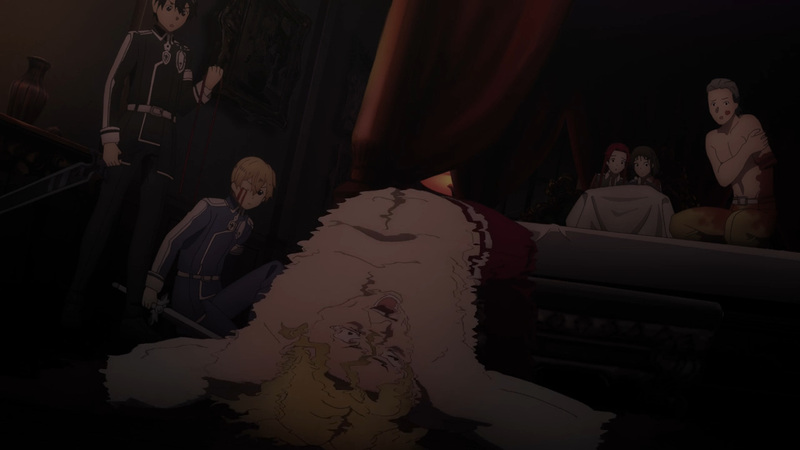 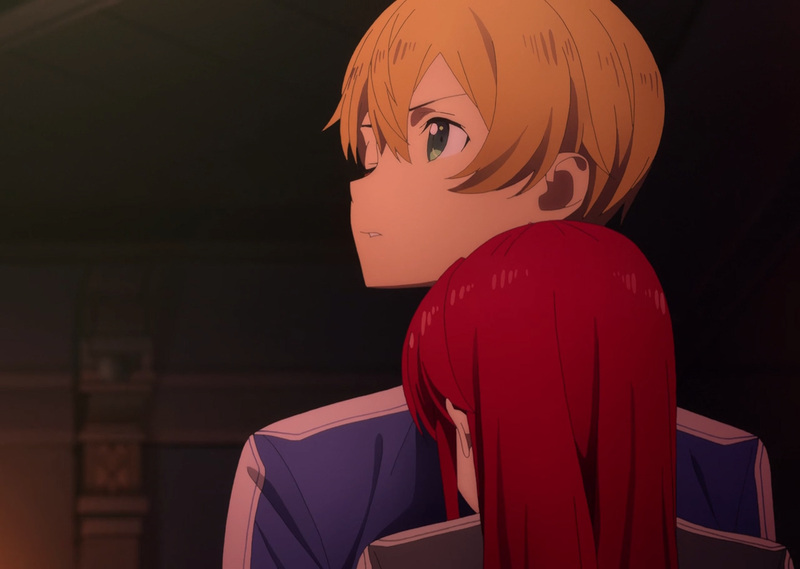 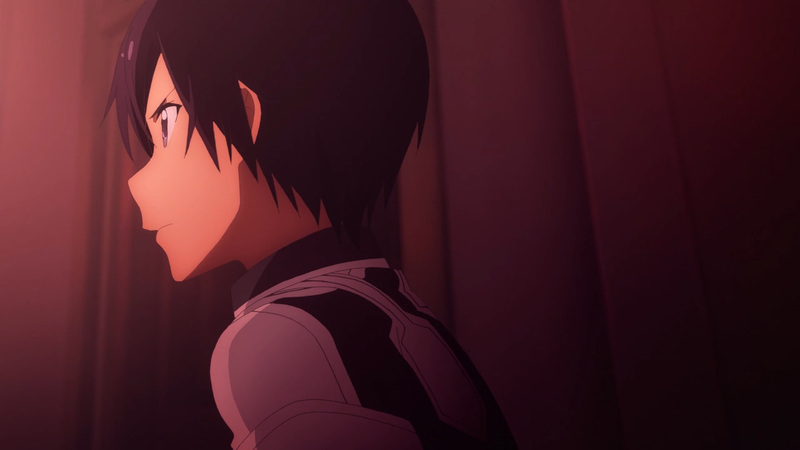 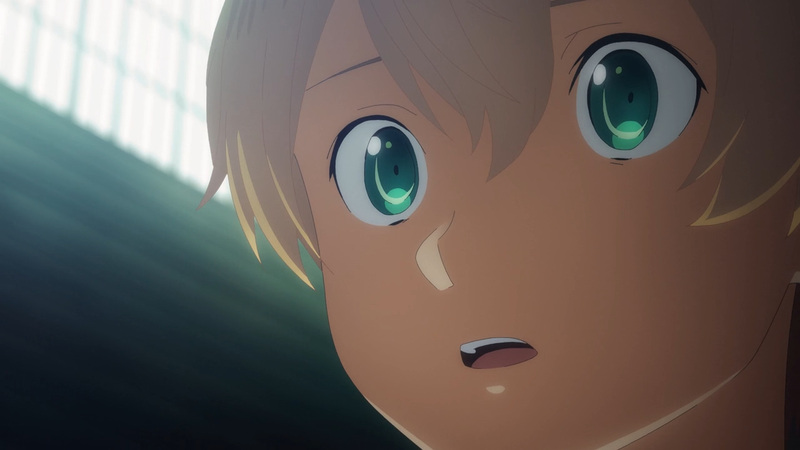 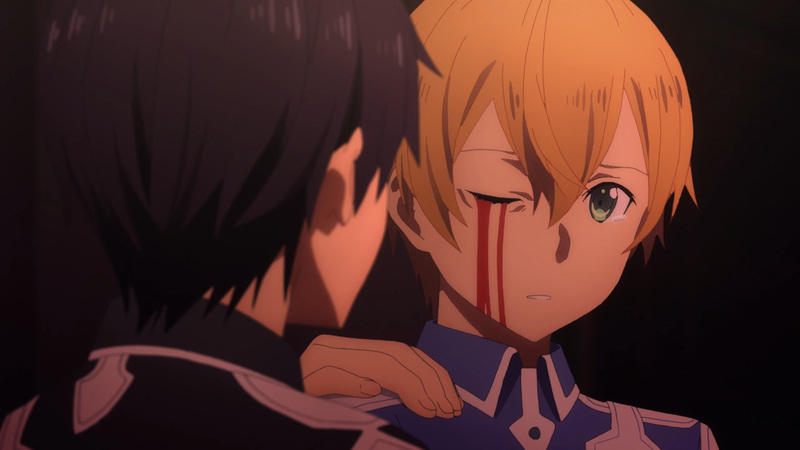 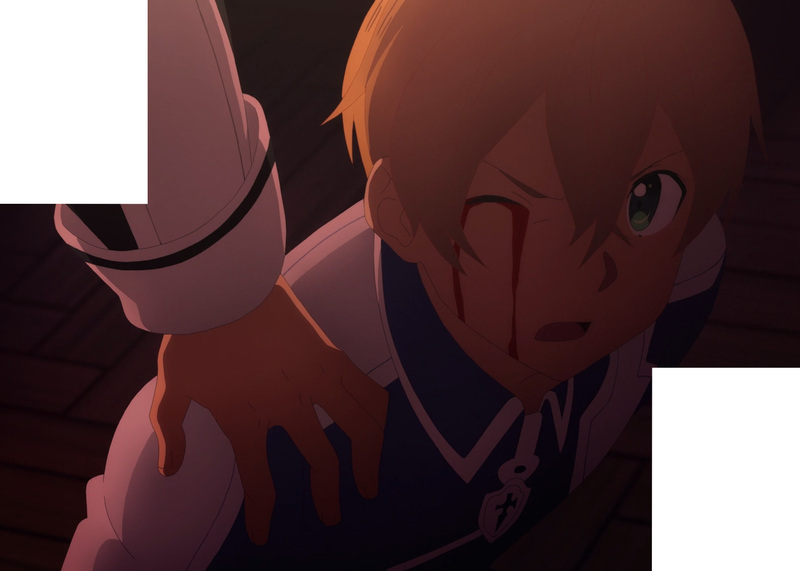 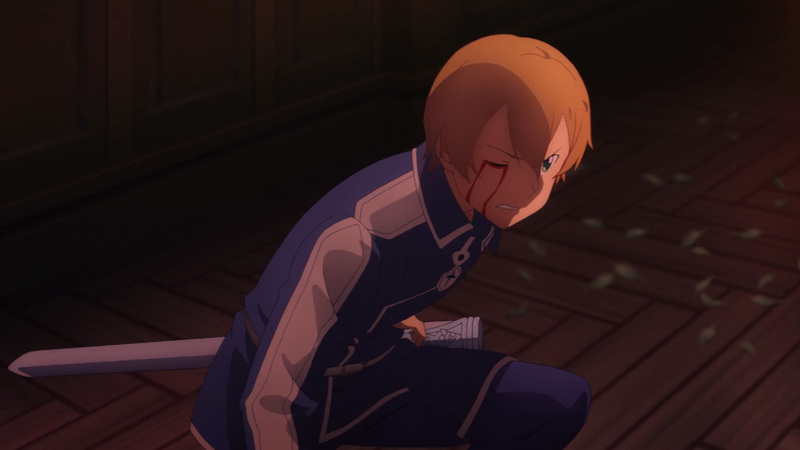 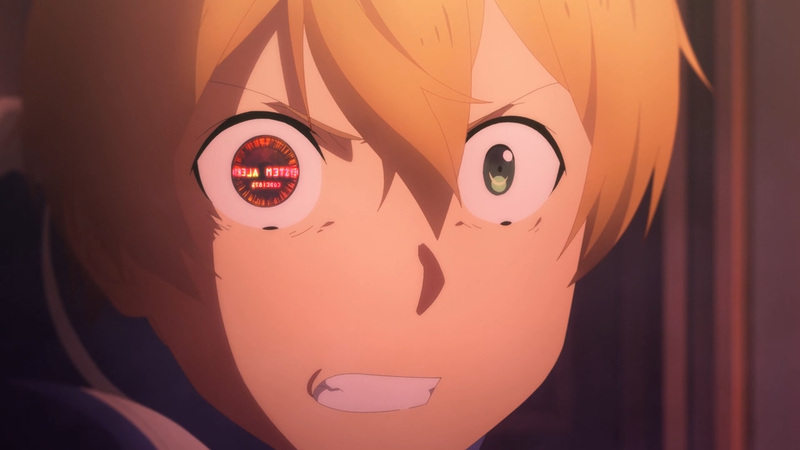 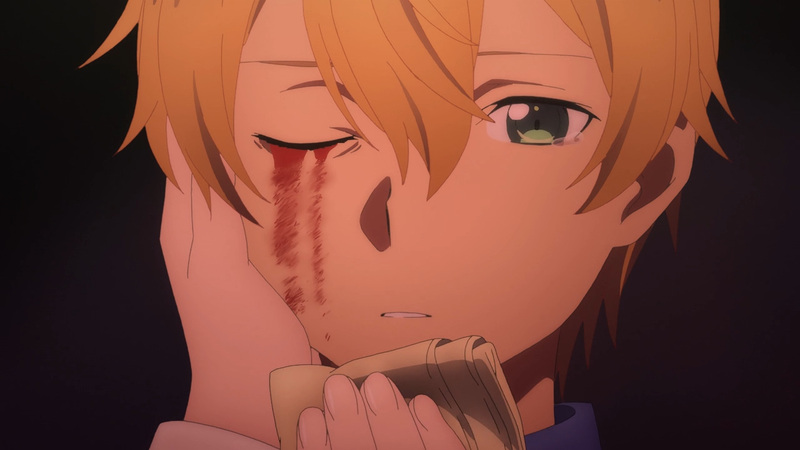 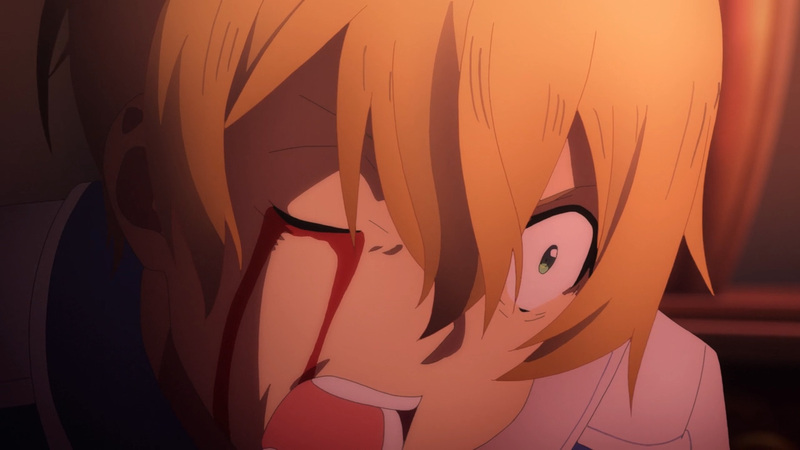 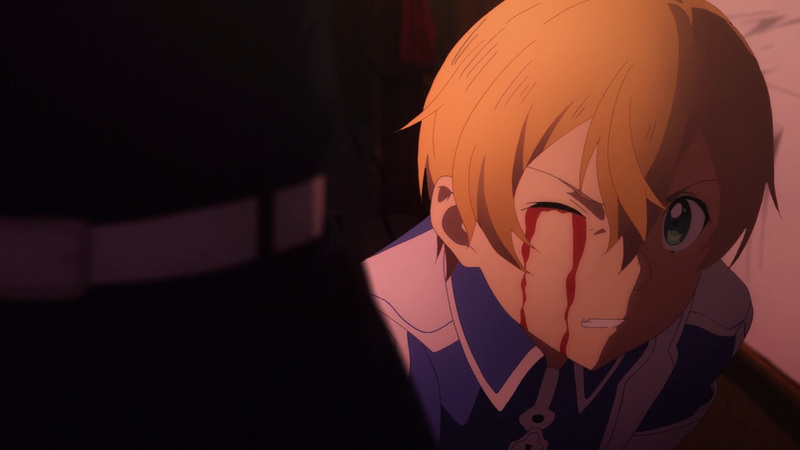 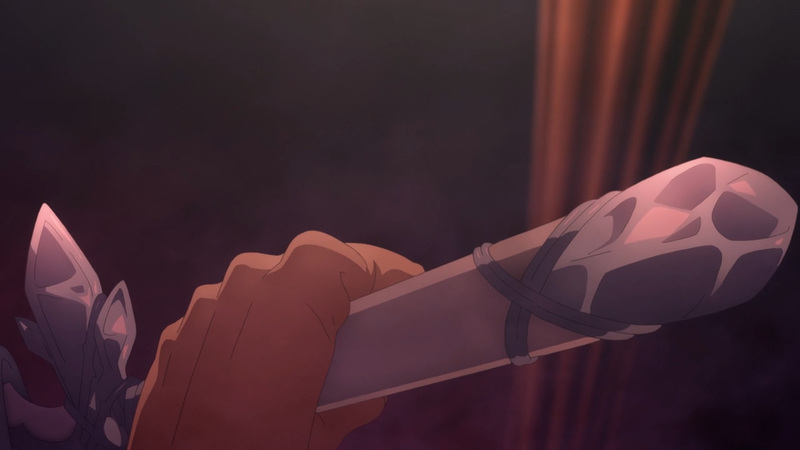 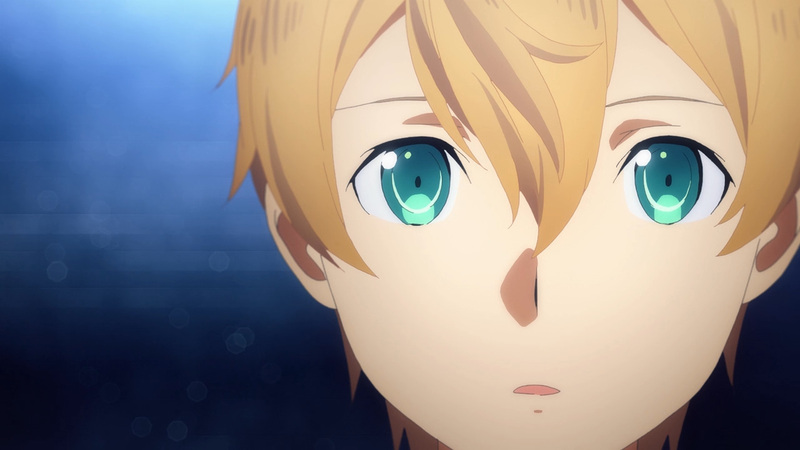 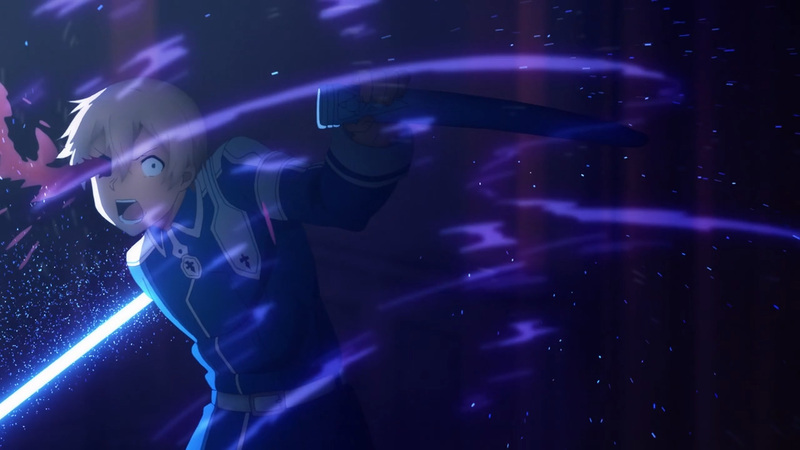 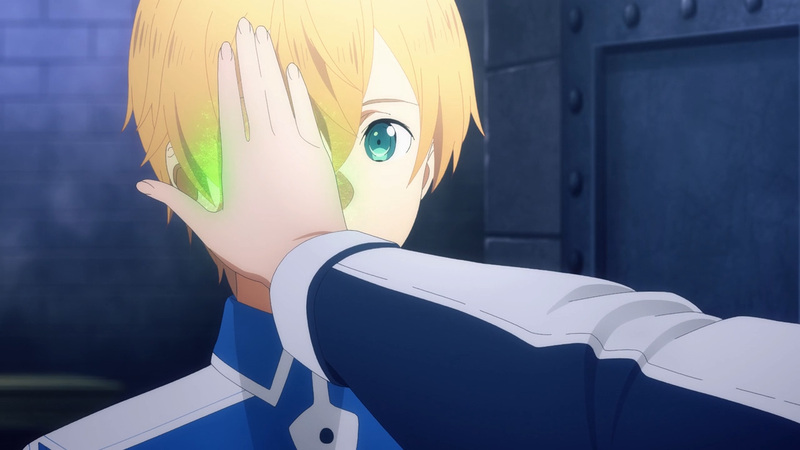 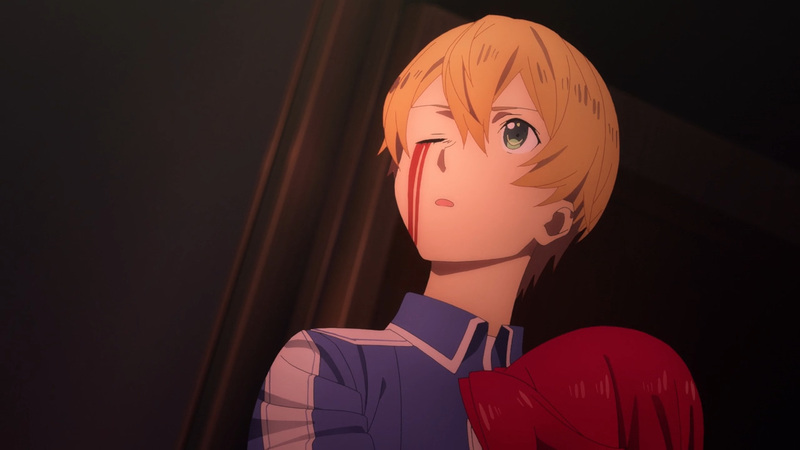 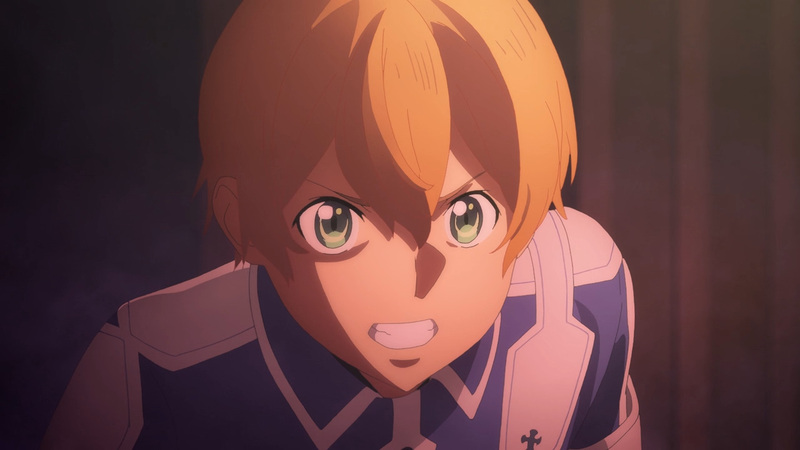 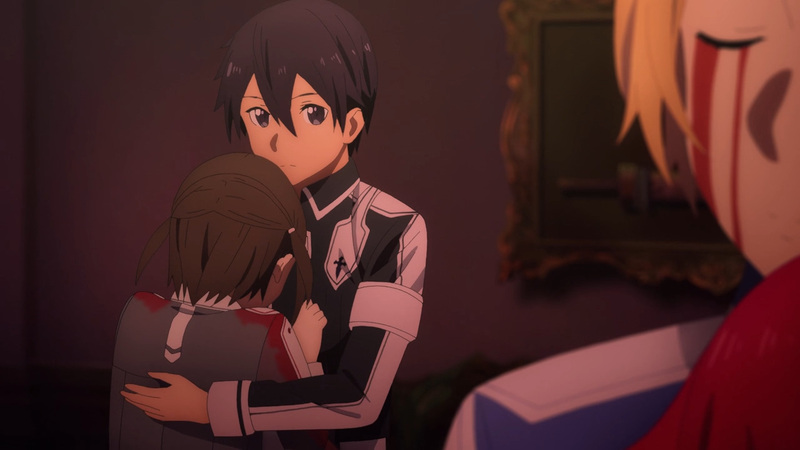 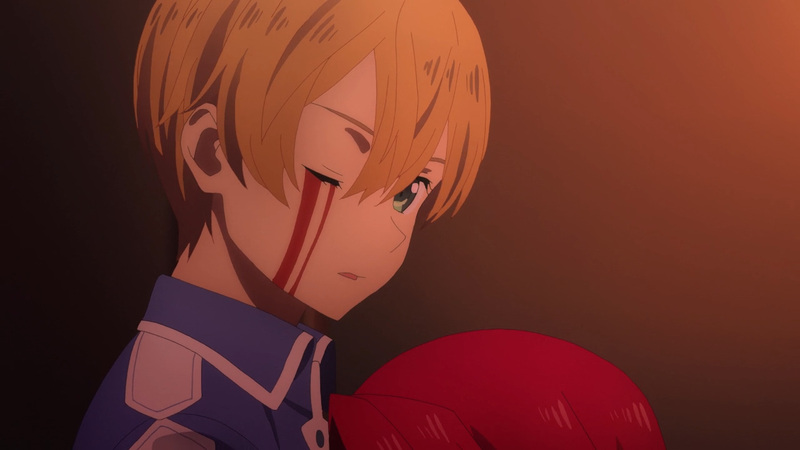 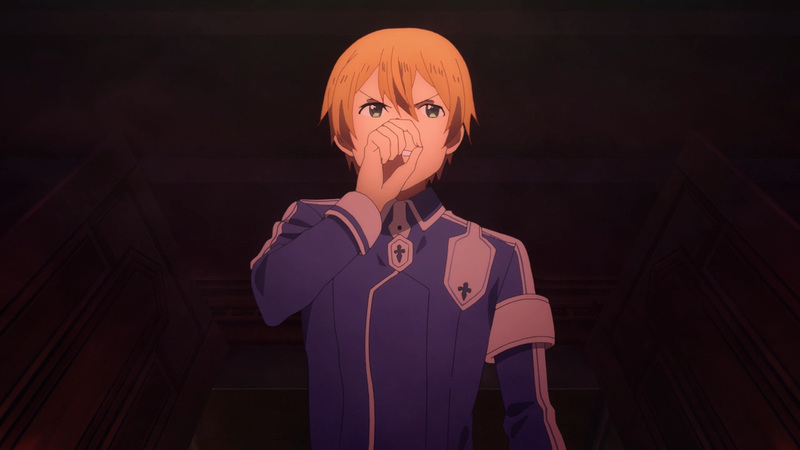 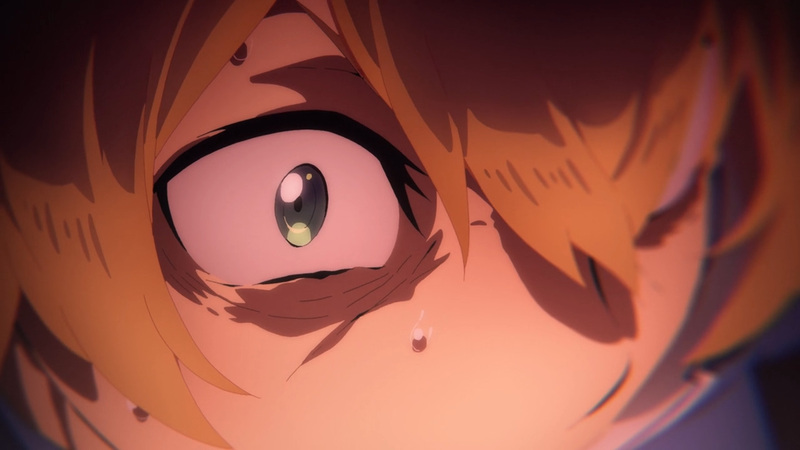 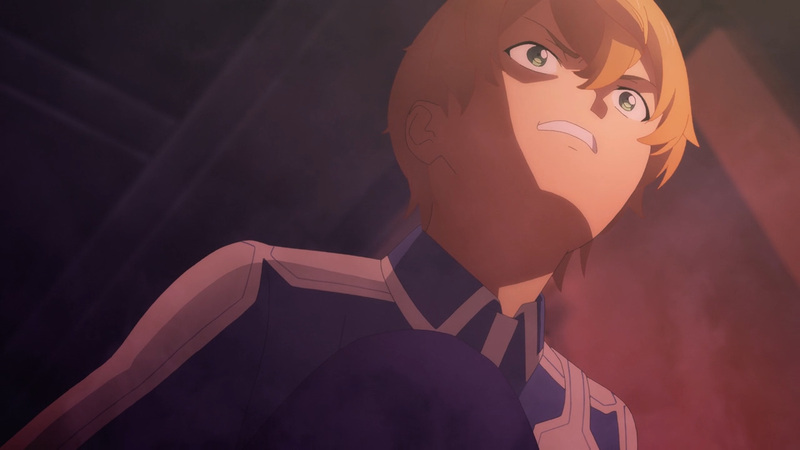 For the second time in this life Eugeo is pushed to the edge as he witnesses the scene unfold before him. 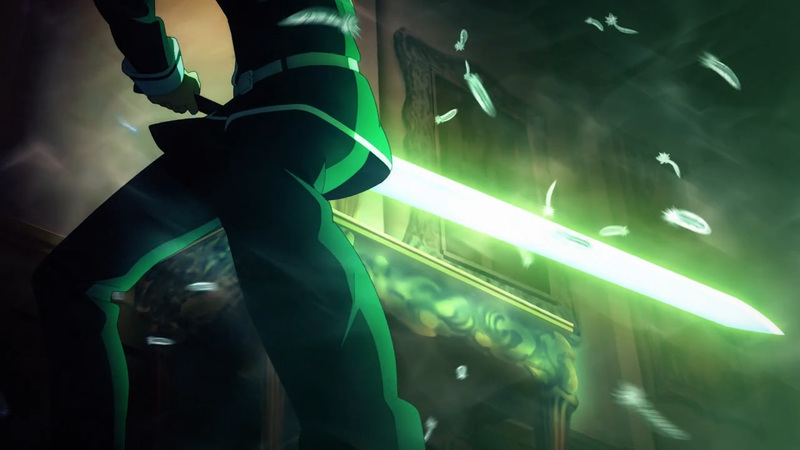 Fortunately, this time he would not let injustice win the day. 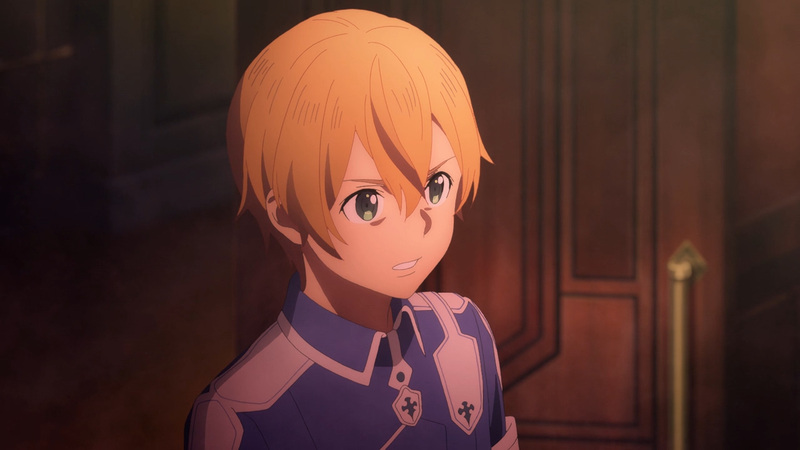 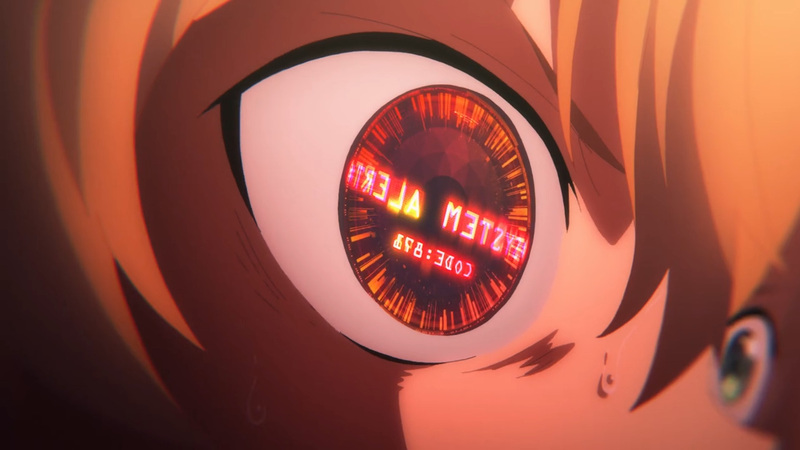 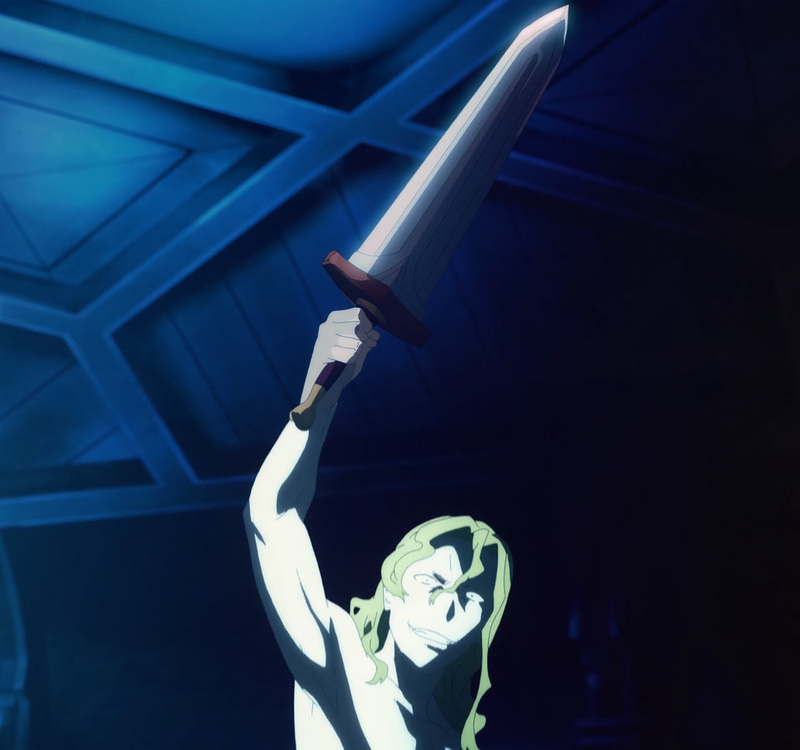 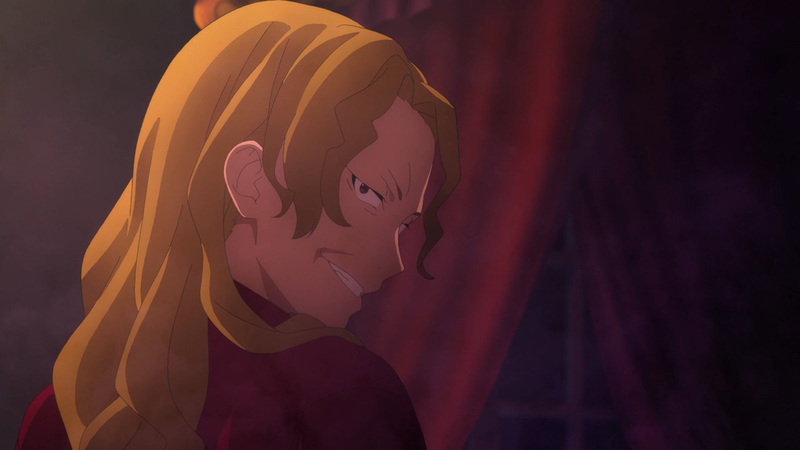 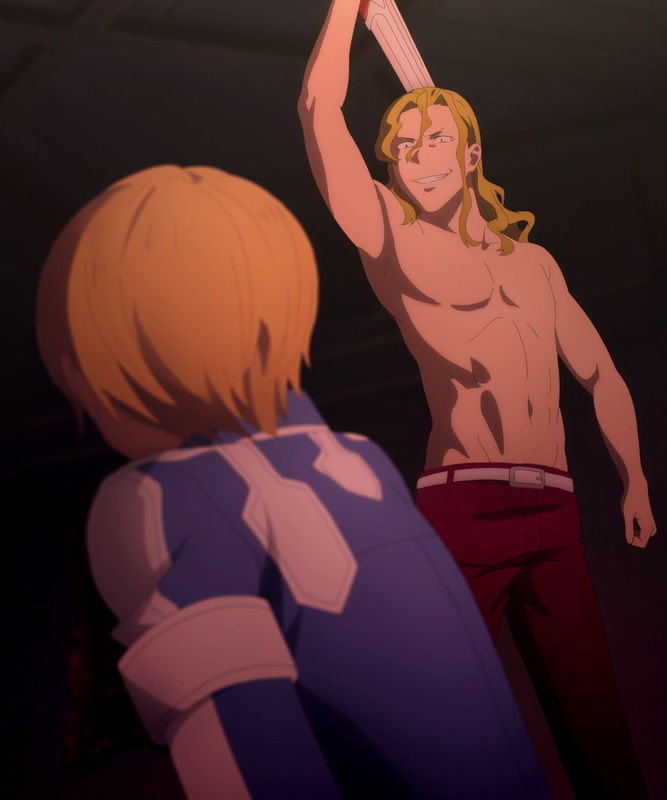 Breaking the lock placed upon him from birth, Eugeo has gone against the Taboo Index. 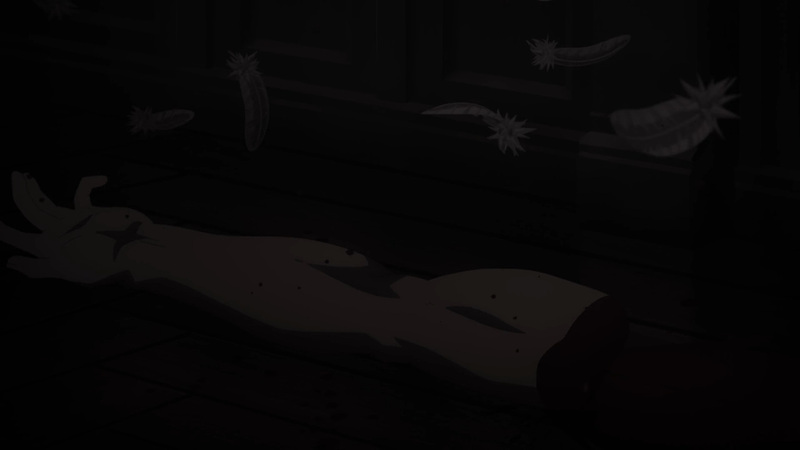 Humbert won’t be touching those girls anytime soon. 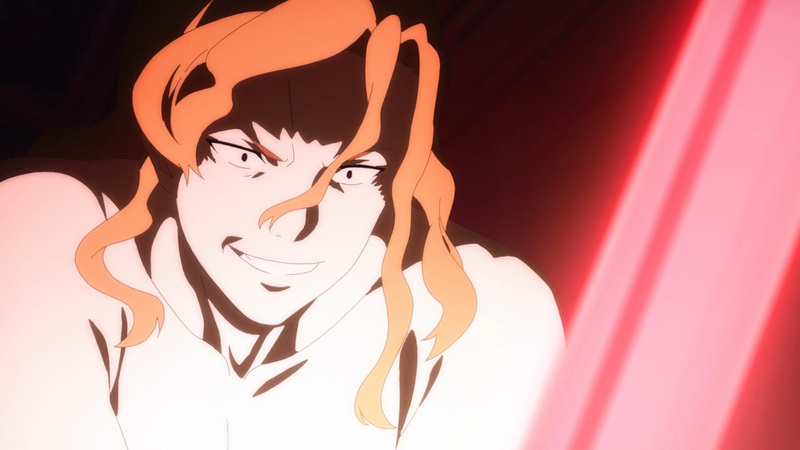 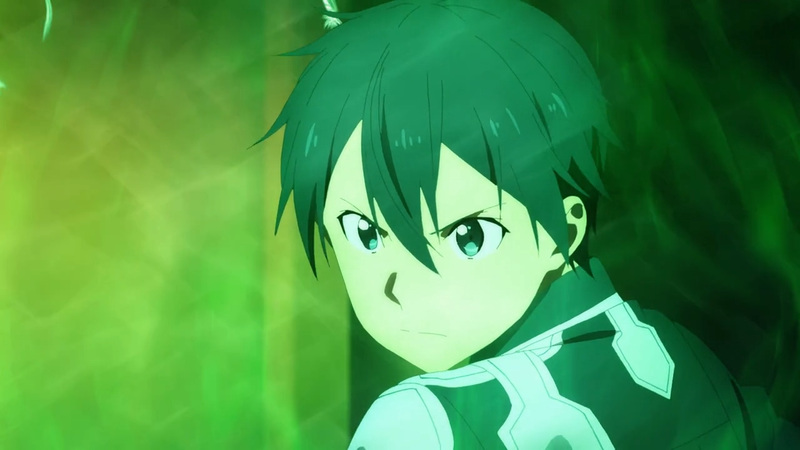 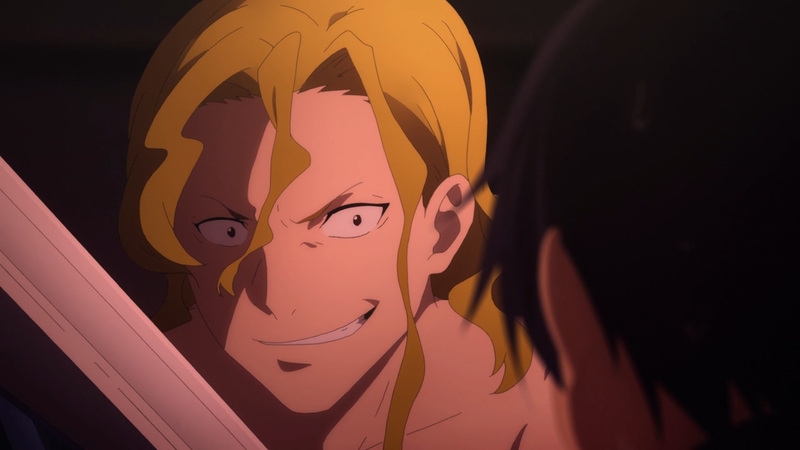 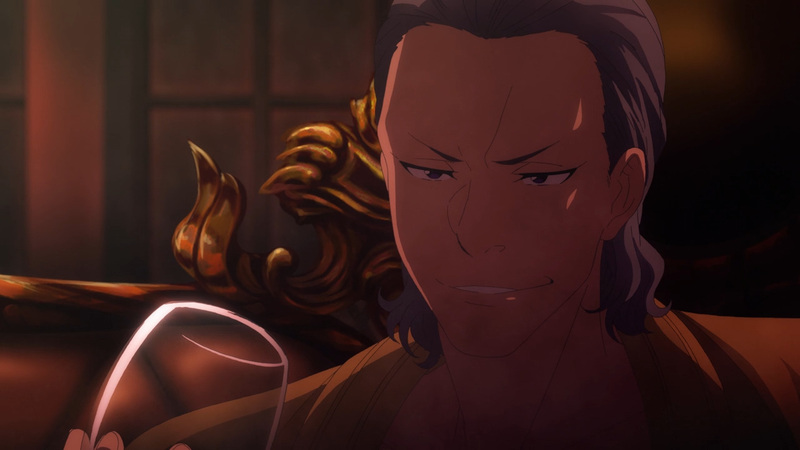 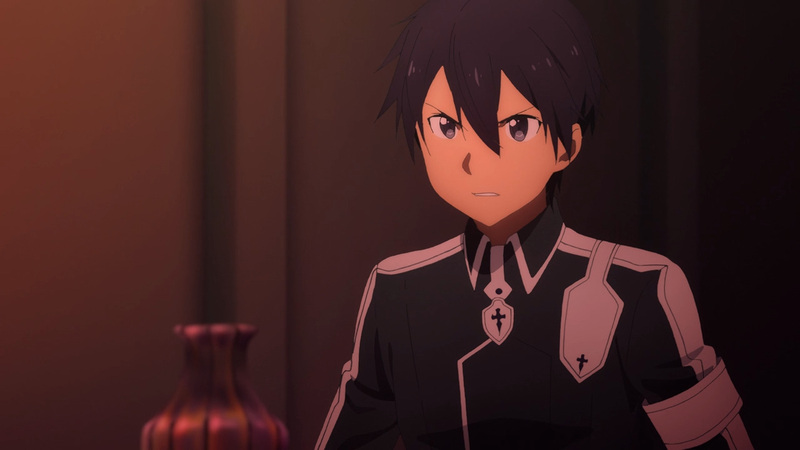 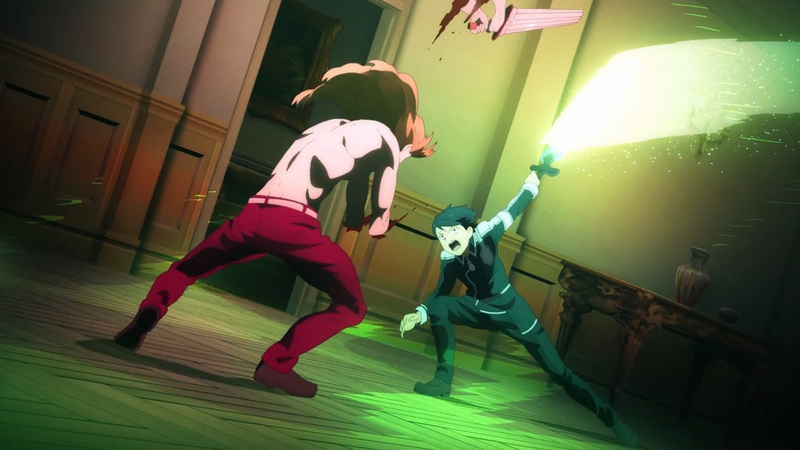 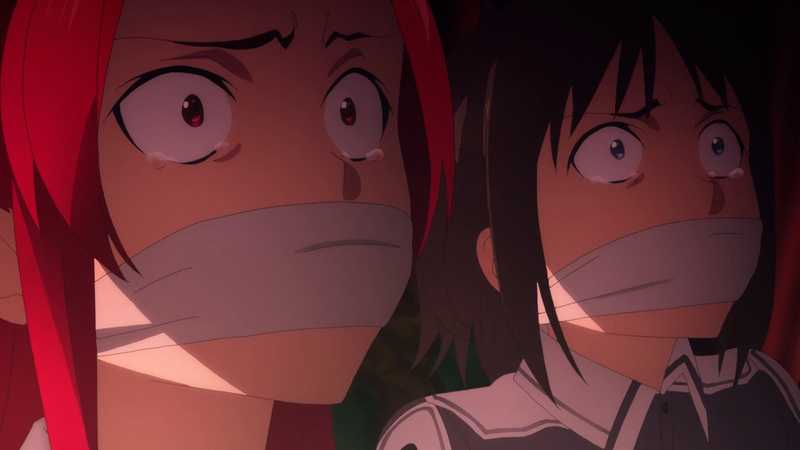 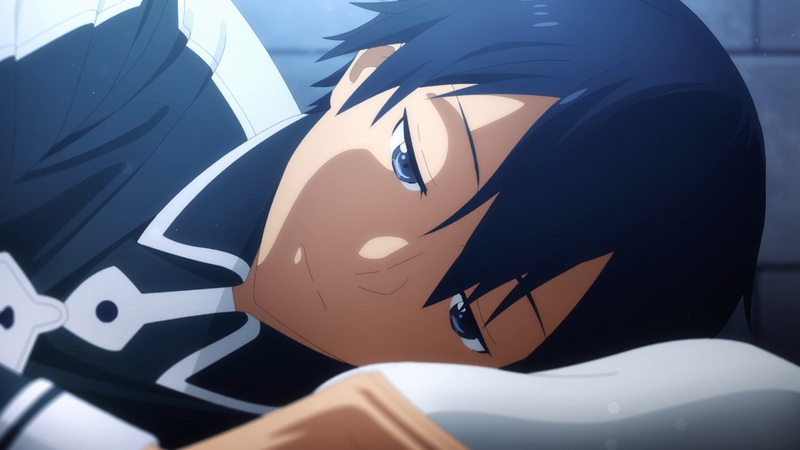 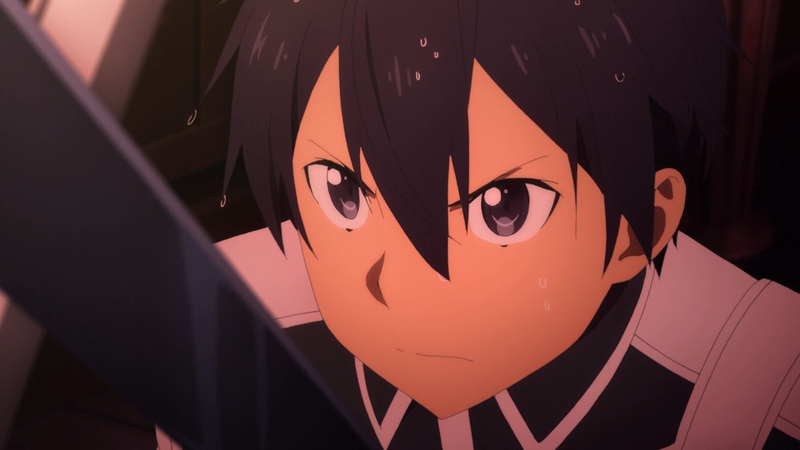 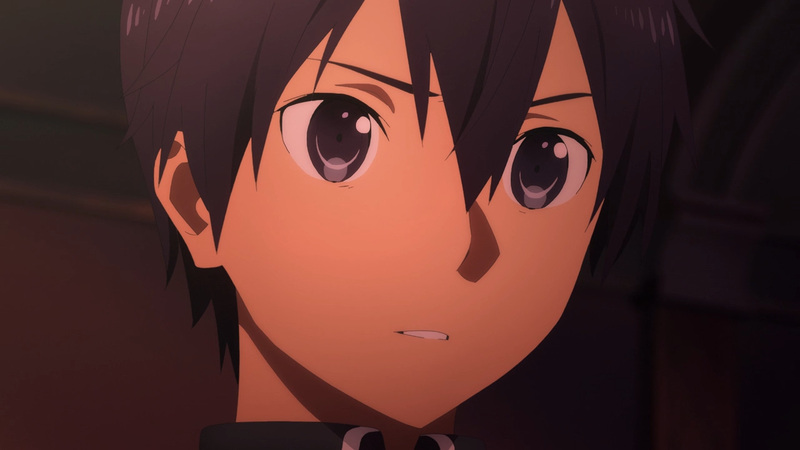 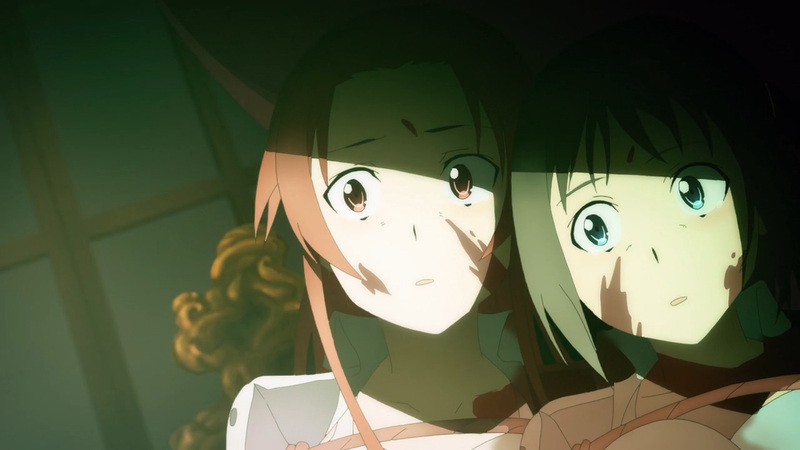 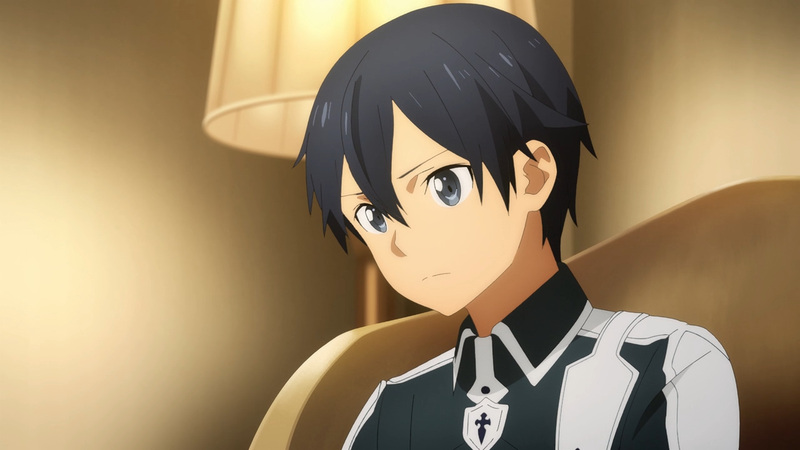 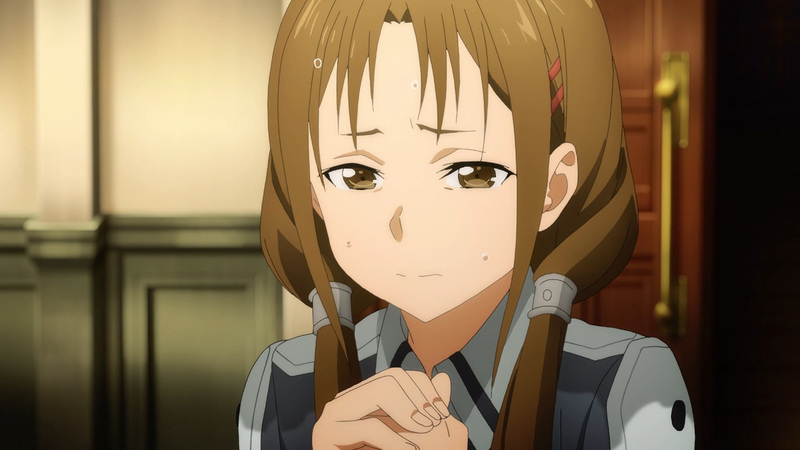 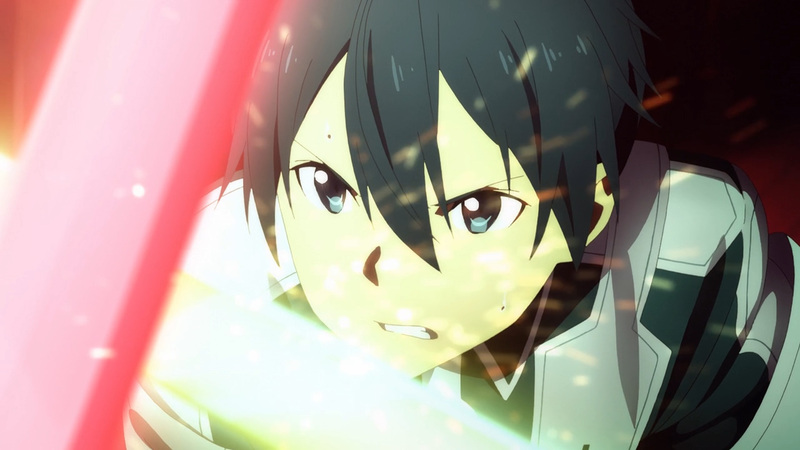 As for his partner in crime, Kirito has assured Raios will never see the light of day again. 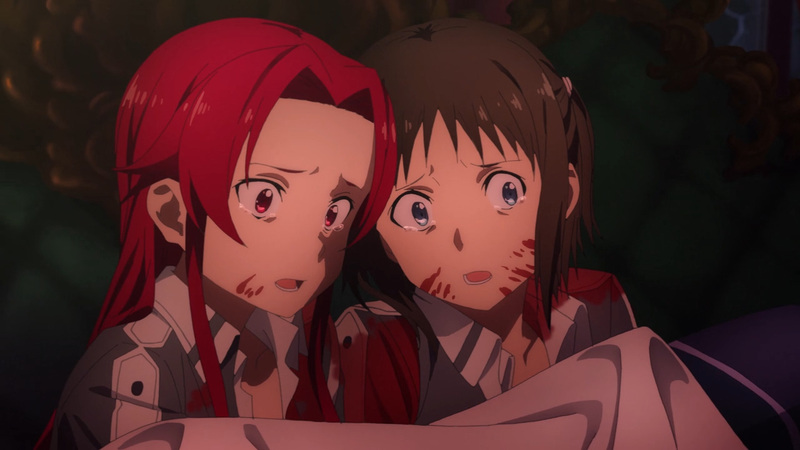 The girls have been saved before anything truly unspeakable went down, although to do so limits had to be surpassed. 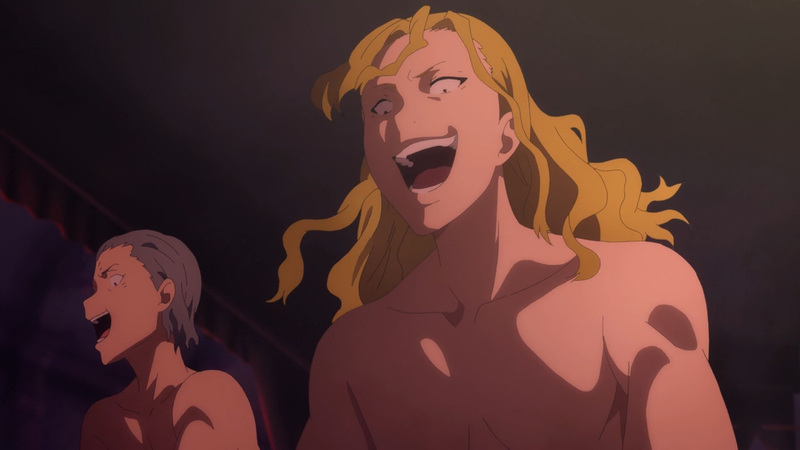 A limit that a certain scientist couldn’t be more delighted to see. 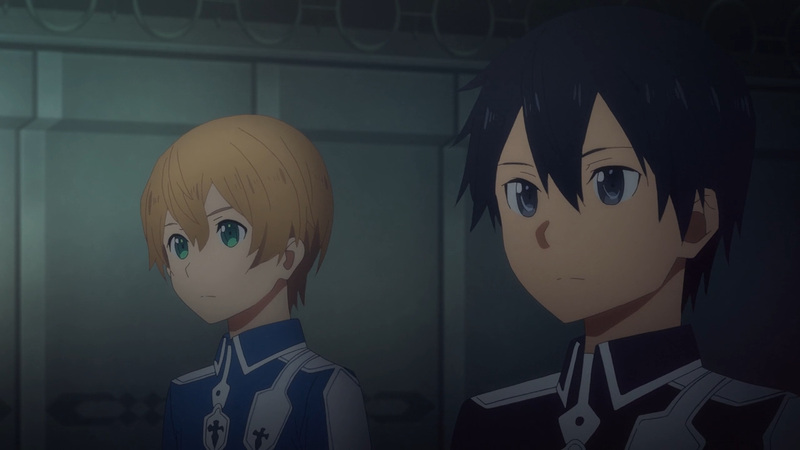 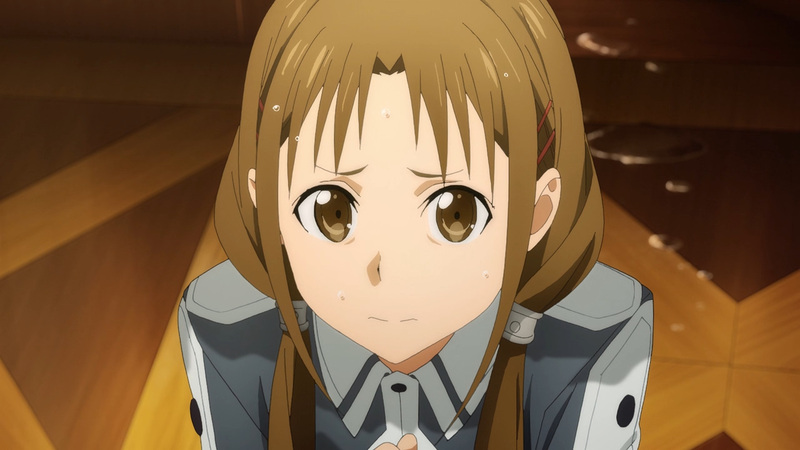 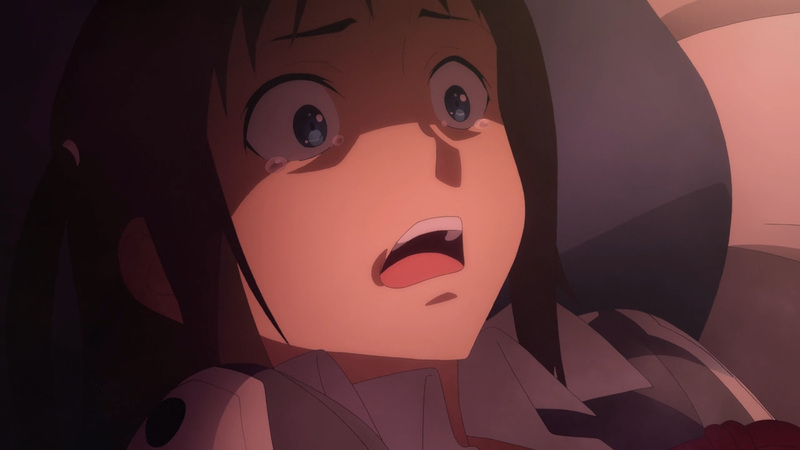 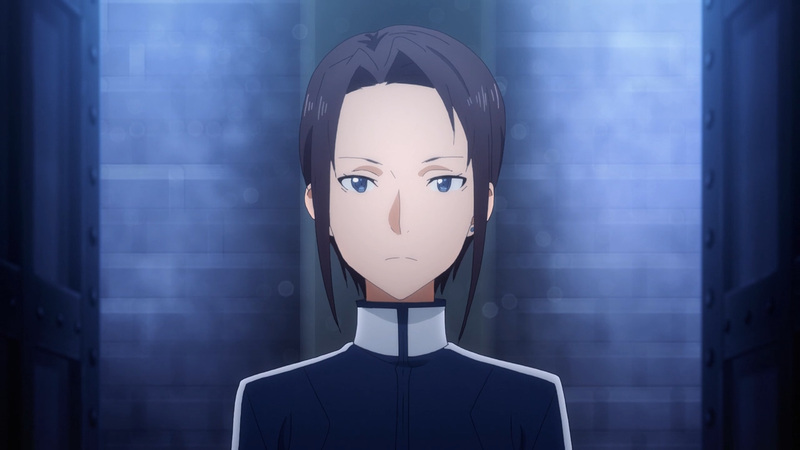 Kirito’s influence within Underworld has begun to take hold. 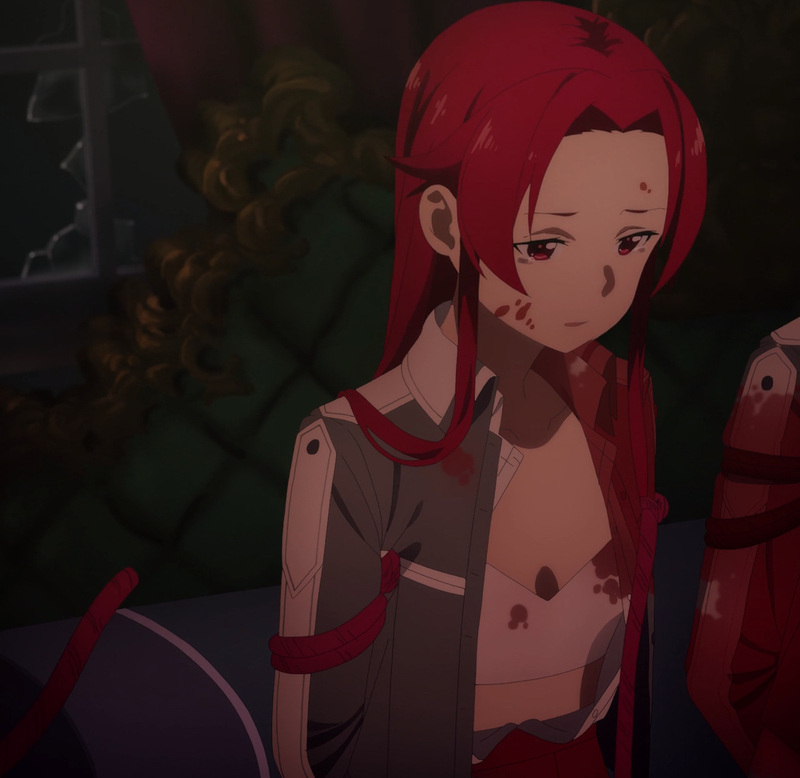 Still, while they are in the game world there are consequences to come from their actions. 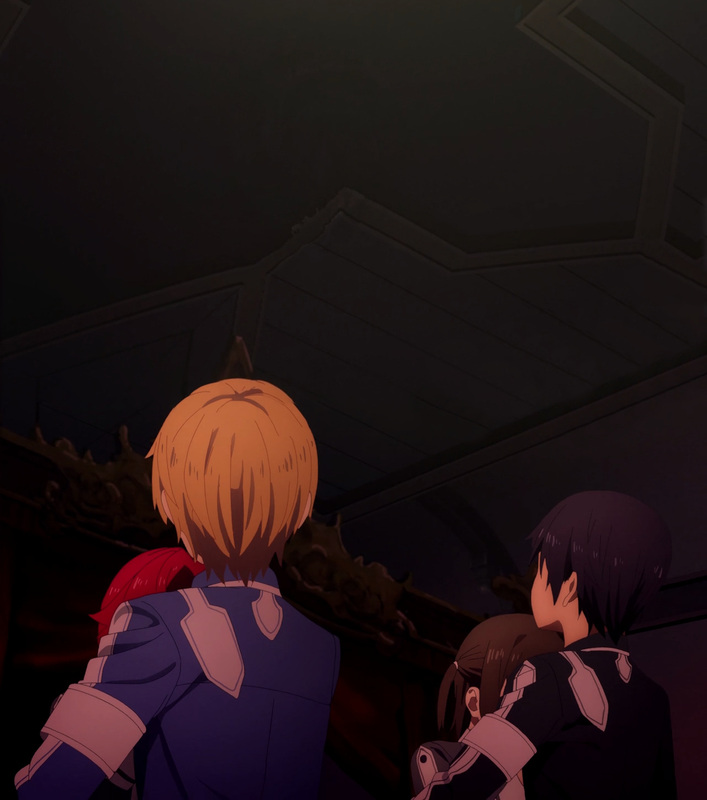 They’ve been arrested, and will now be escorted away by an Integrity Knight. 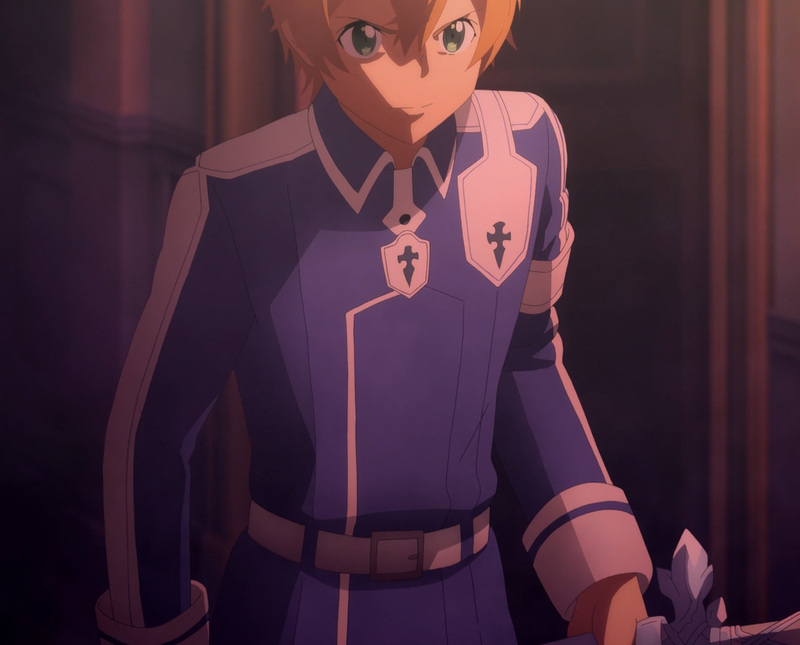 However, this knight has come sporting an all too familiar face. 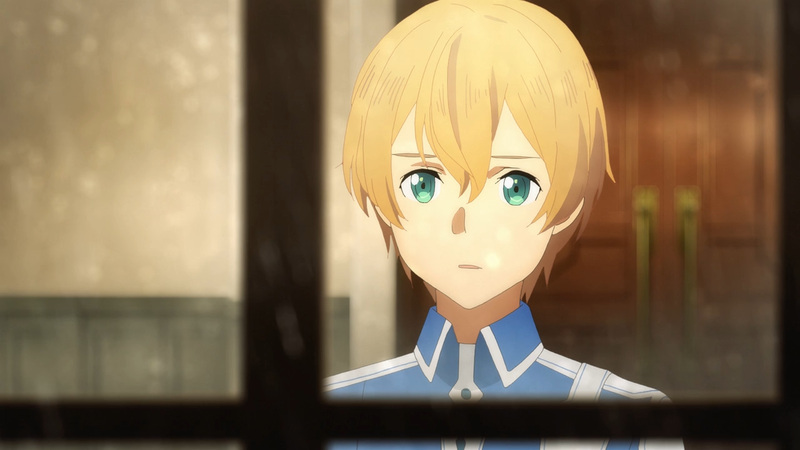 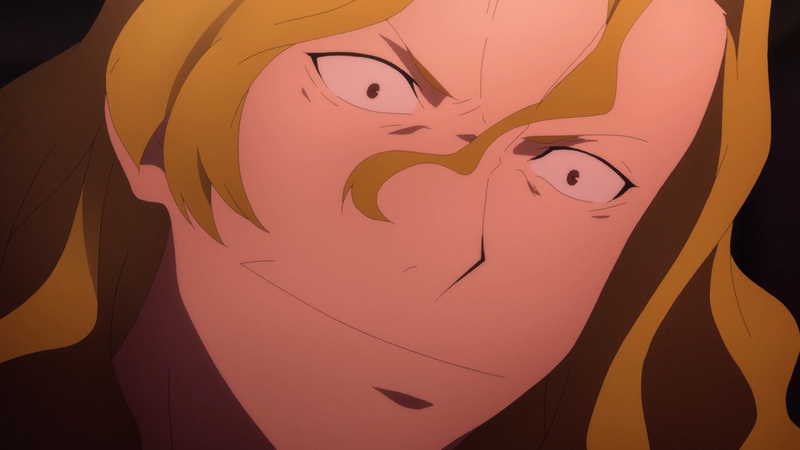 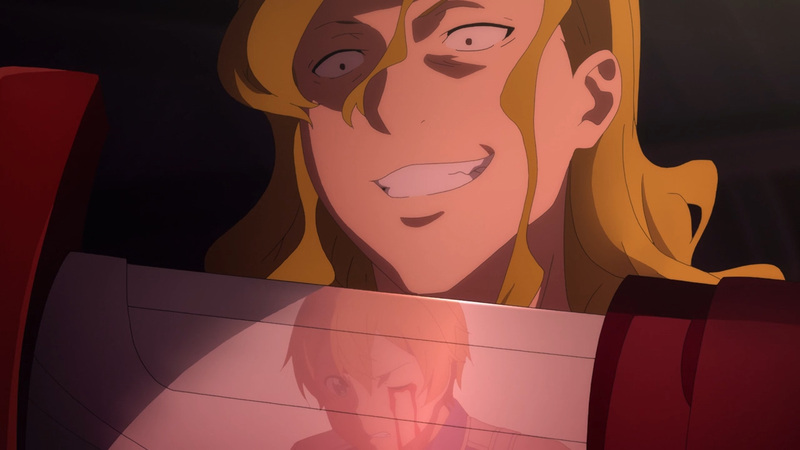 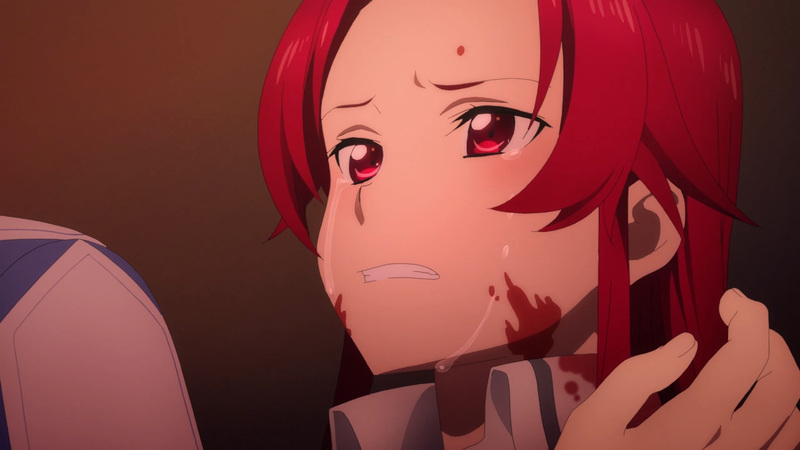 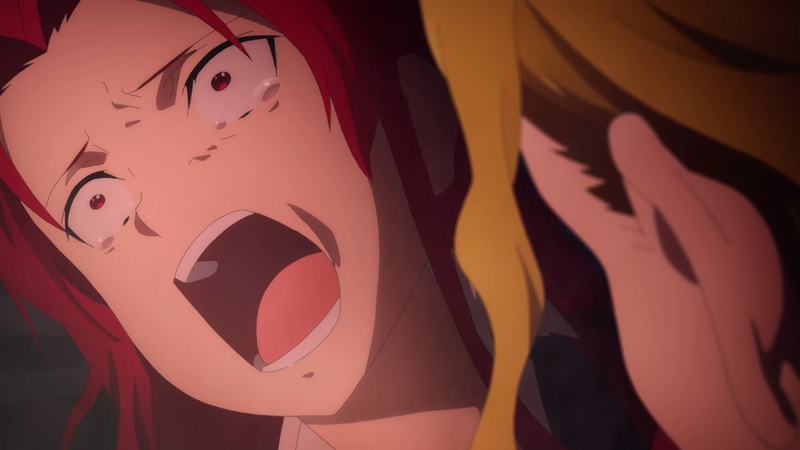 This face is one Eugeo has forever burned into this memories. 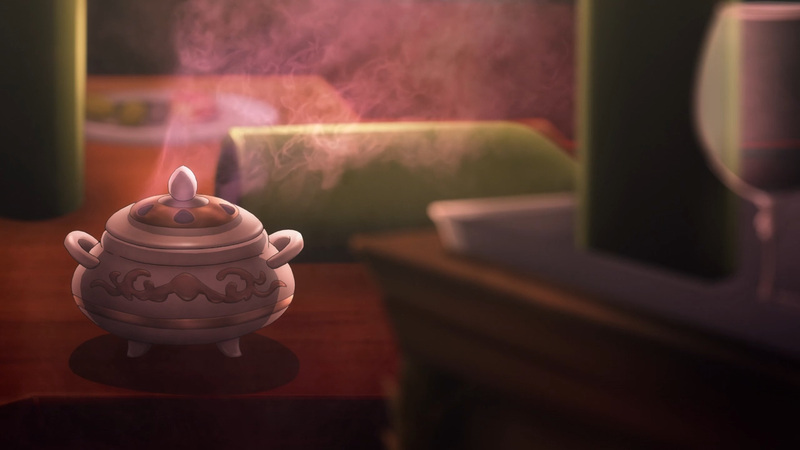 Has Alice returned, or is this something more? 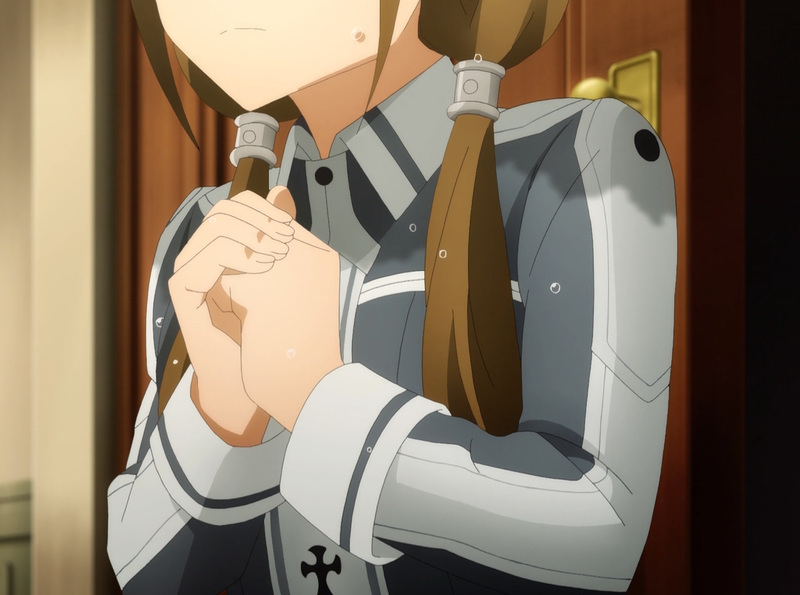 Anyhow, their purity is in trouble. 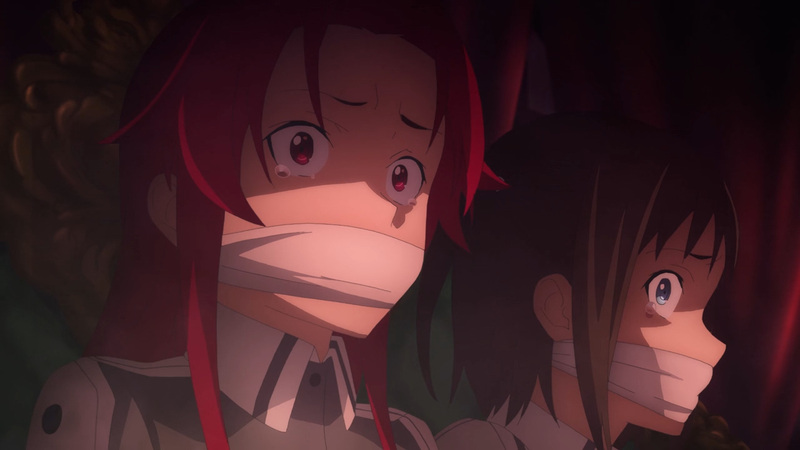 Enjoy the bloody rescue operation! 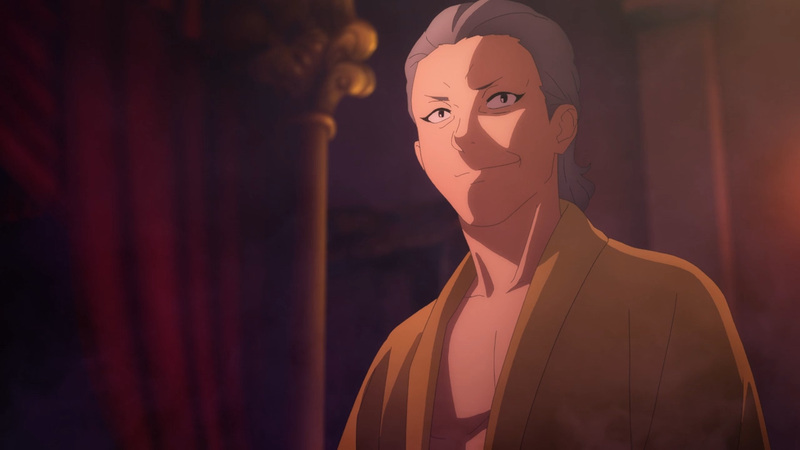 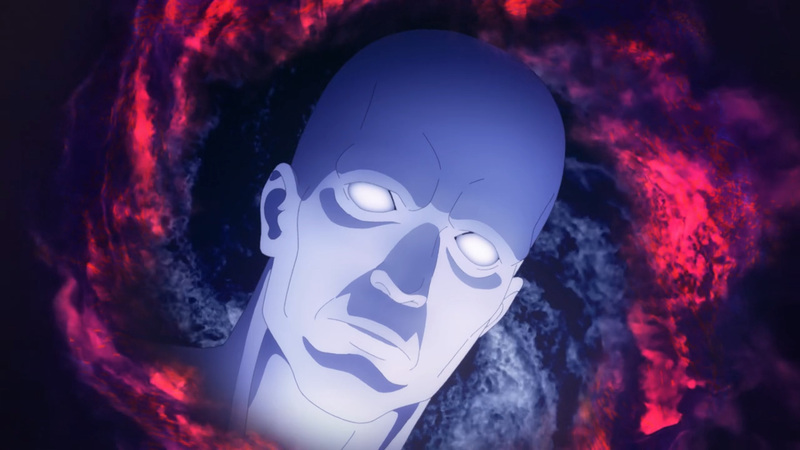 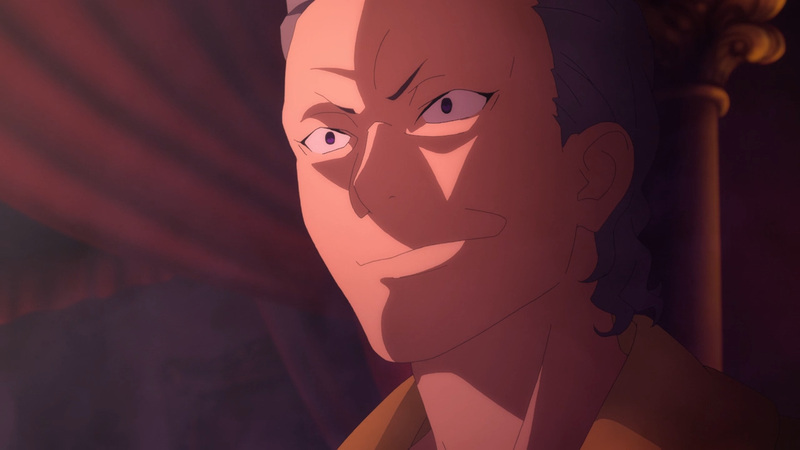 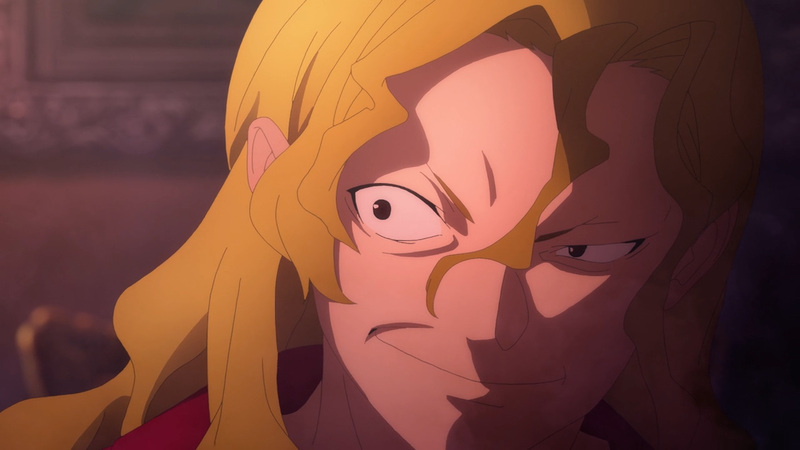 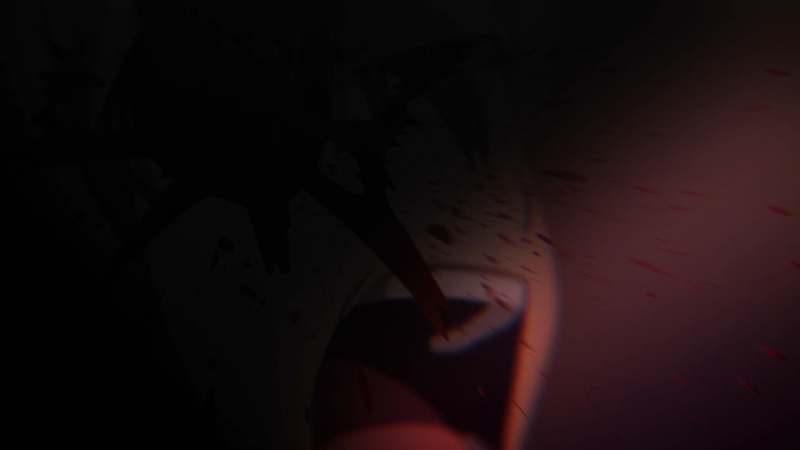 A familiar face has appeared, but is it really who they think it is? 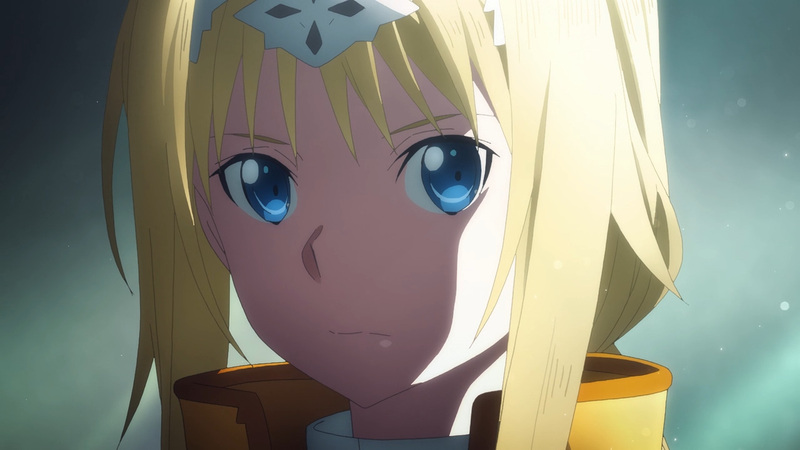 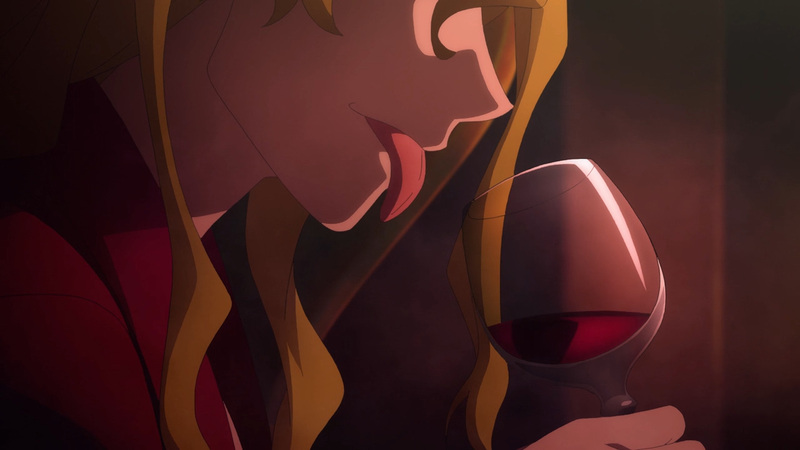 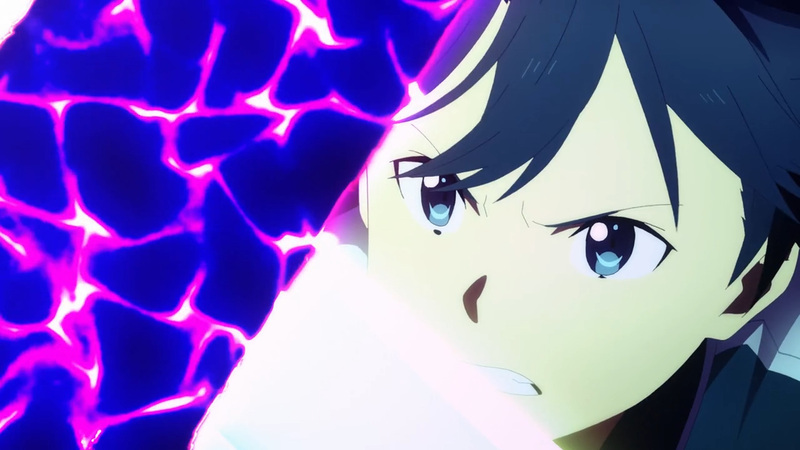 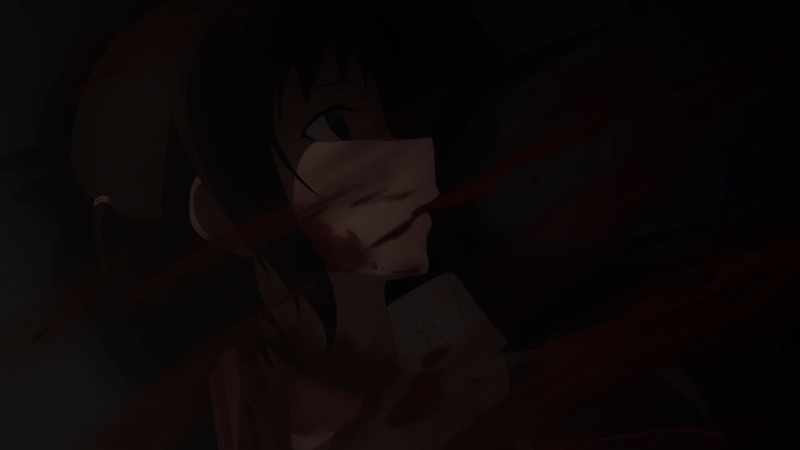 Find out who she is next time here at, Anime Solution!